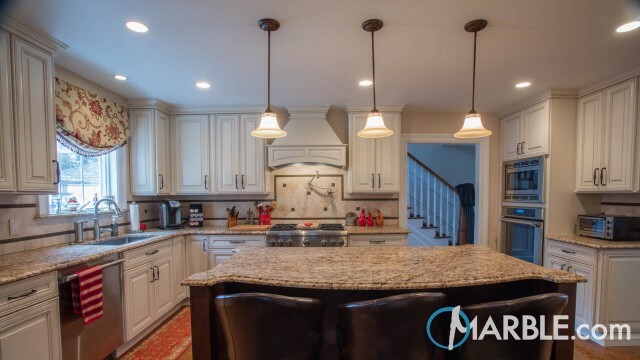 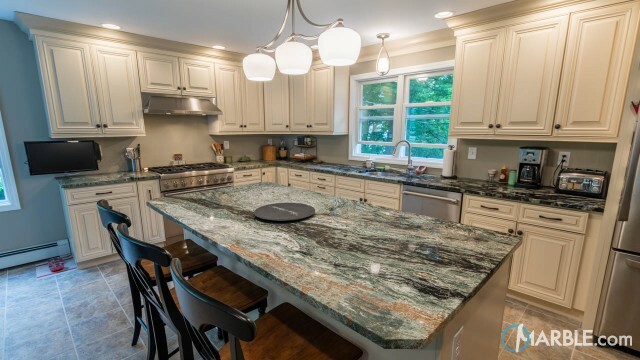 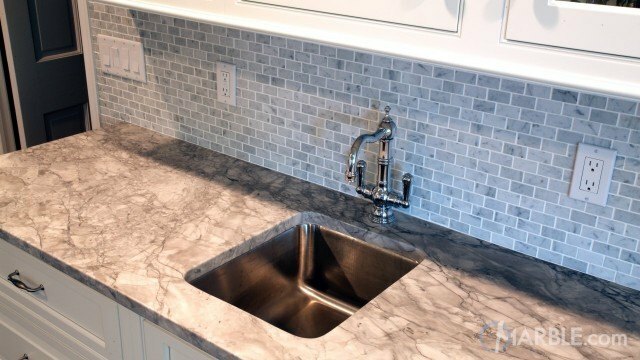 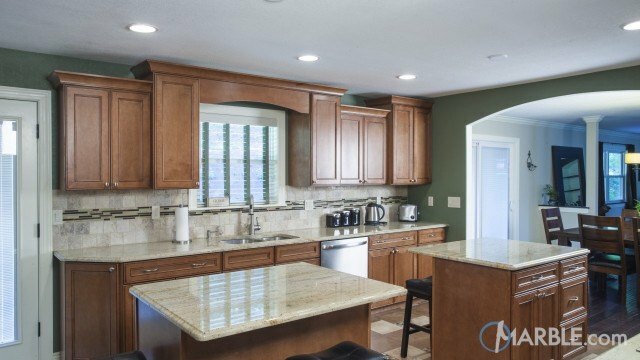 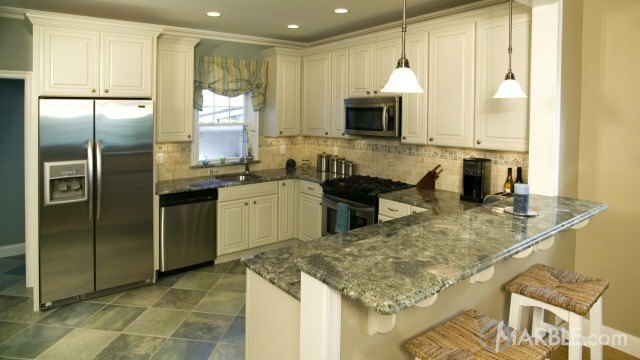 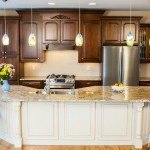 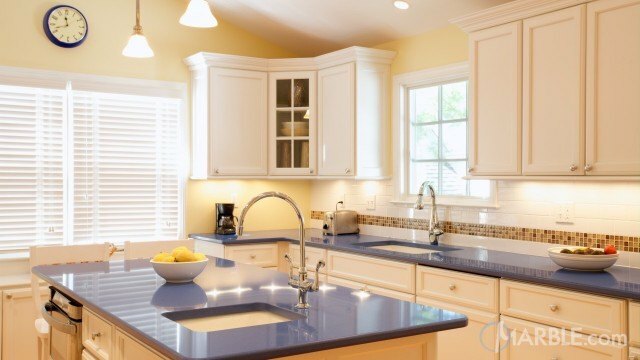 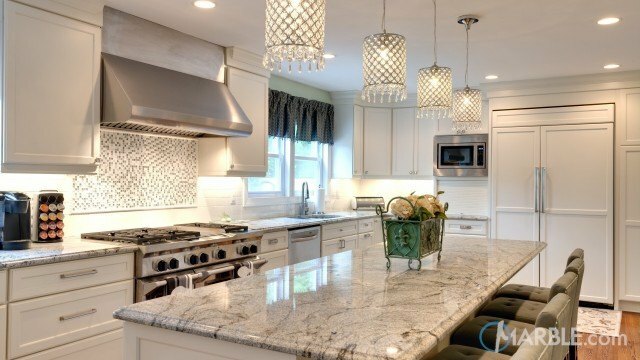 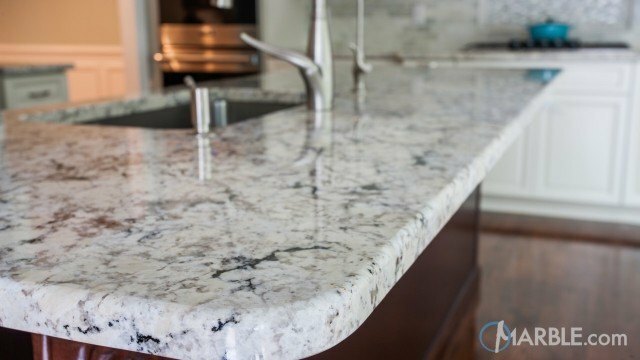 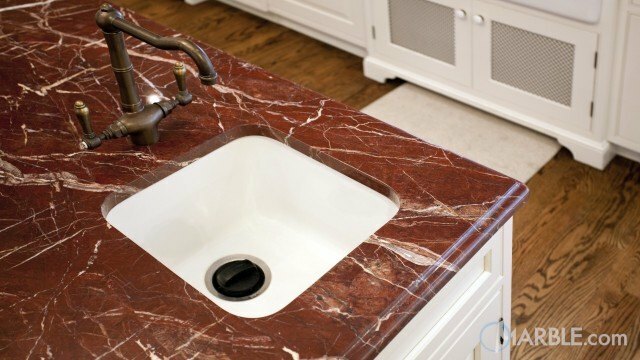 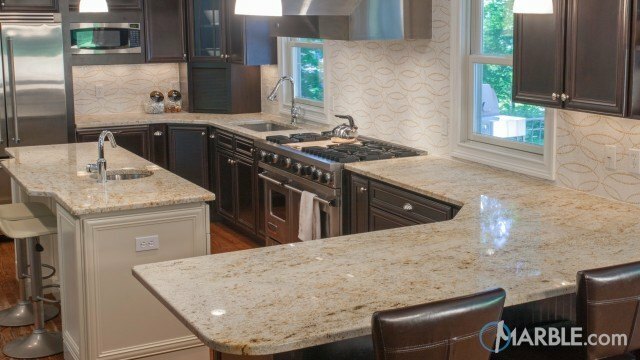 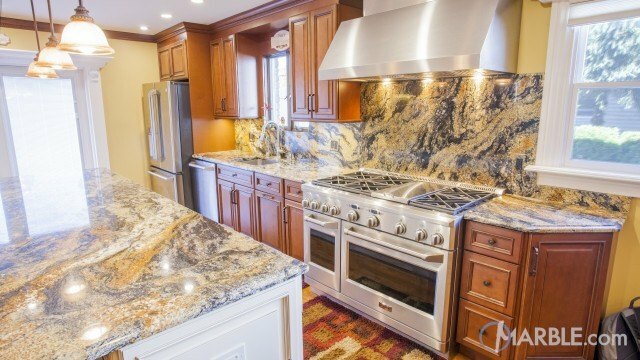 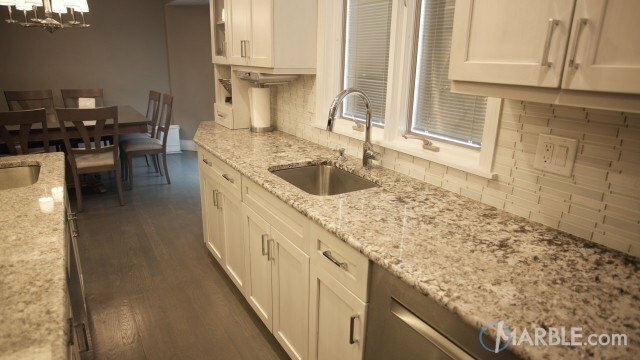 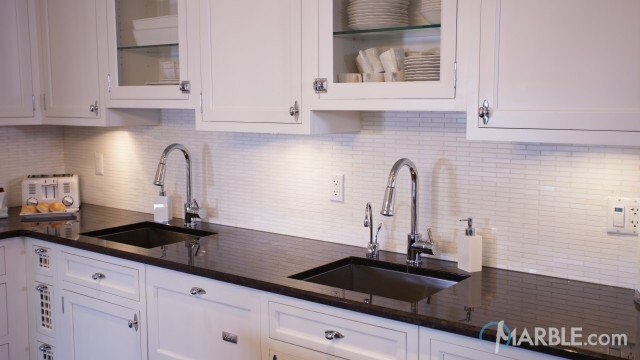 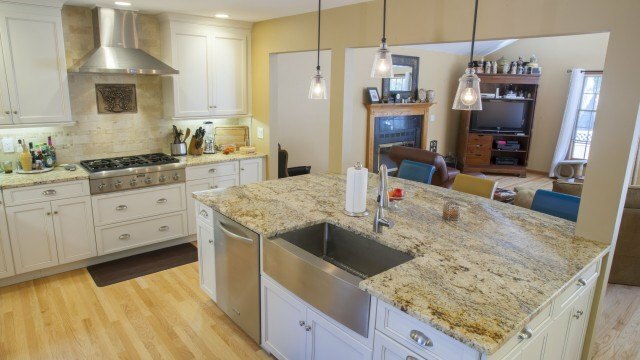 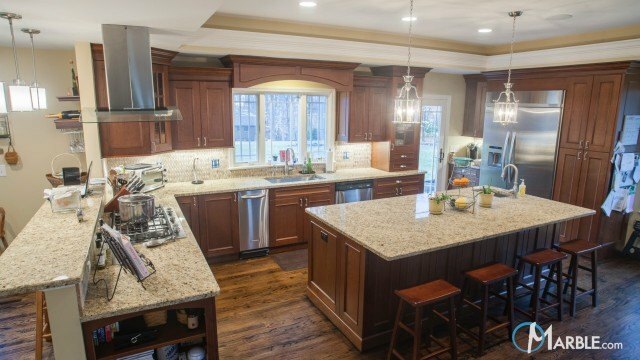 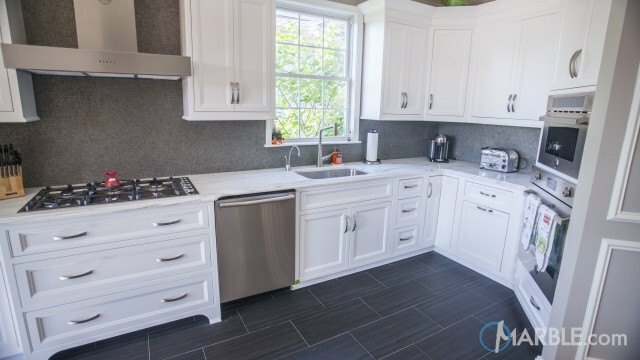 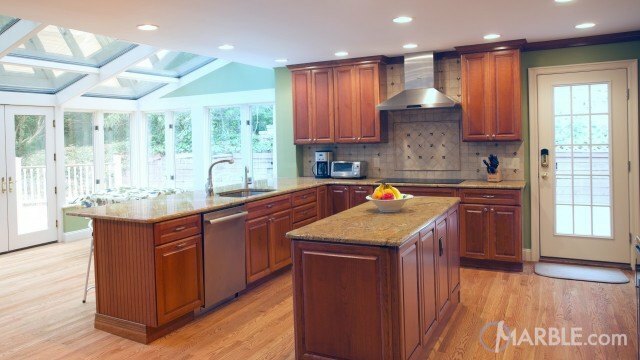 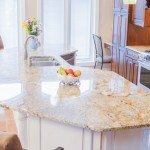 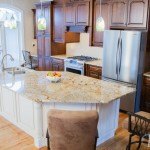 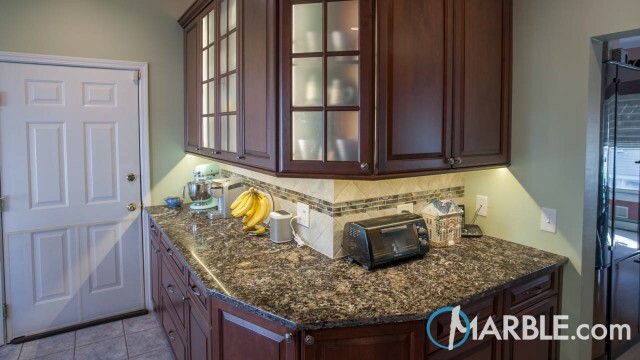 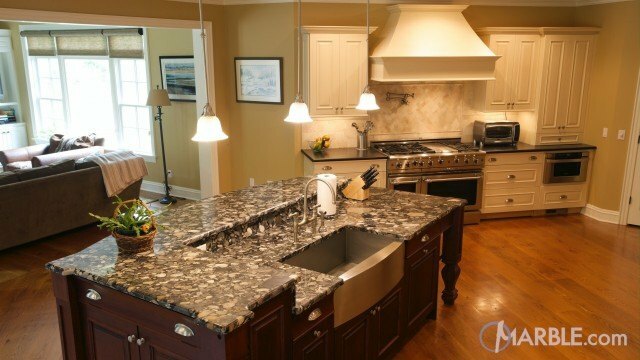 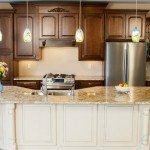 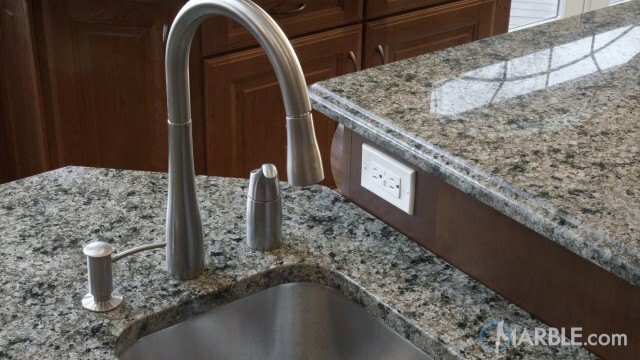 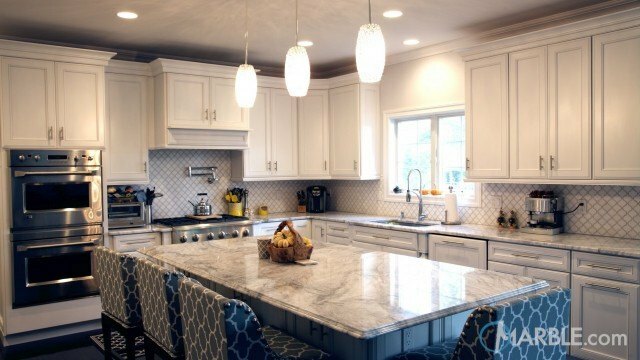 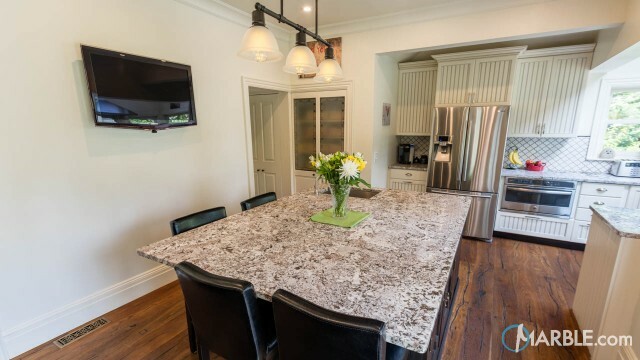 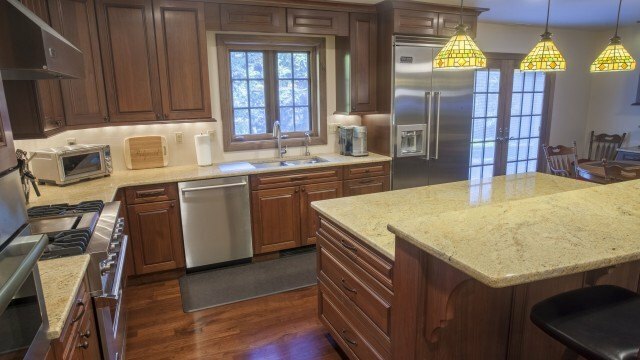 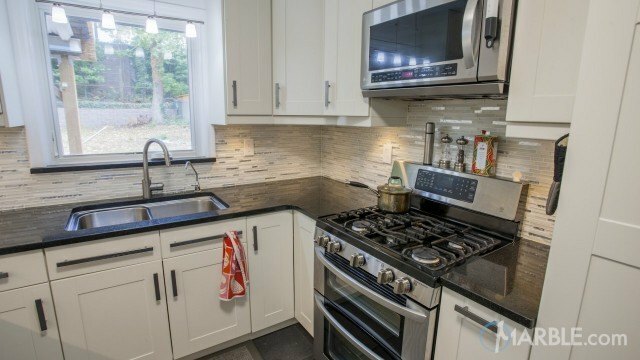 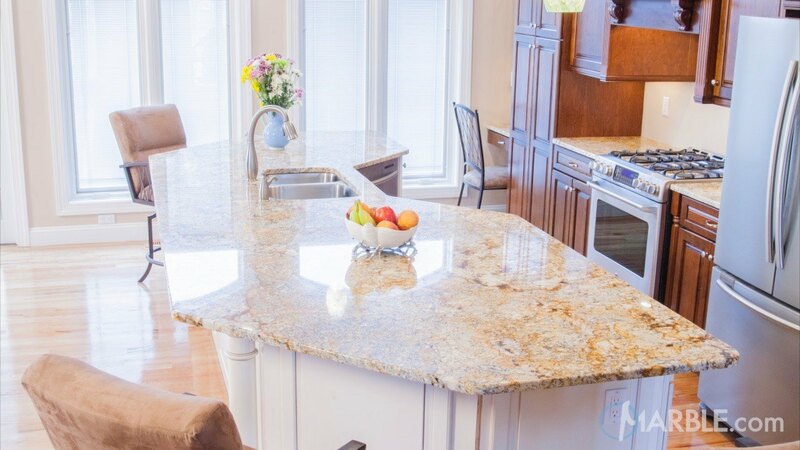 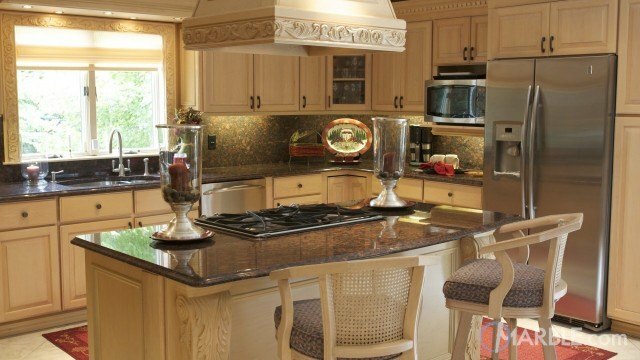 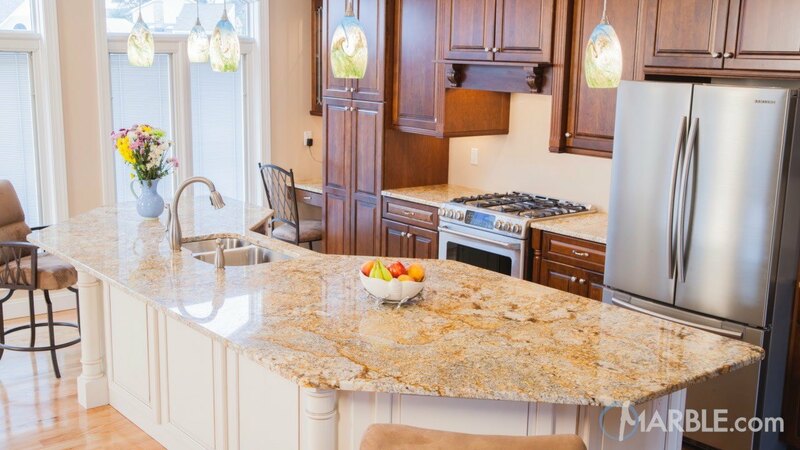 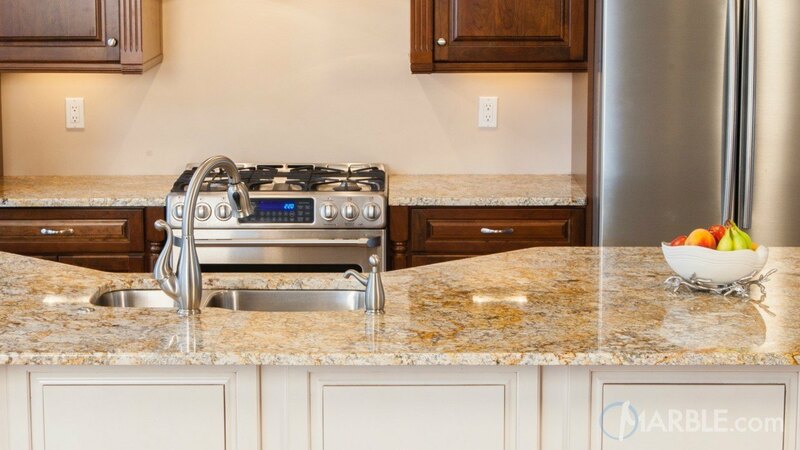 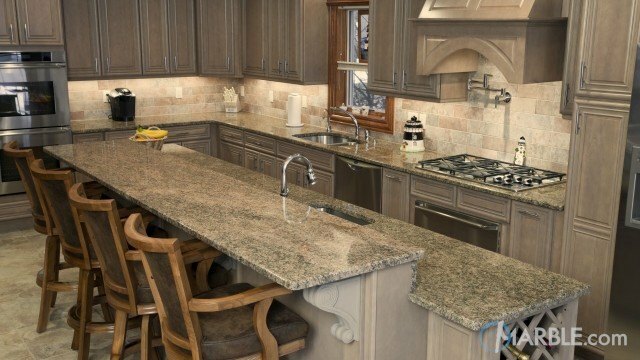 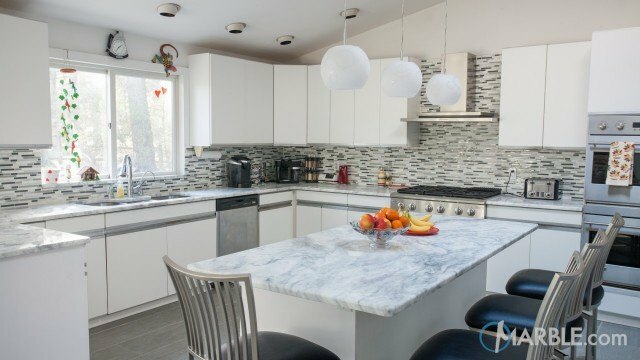 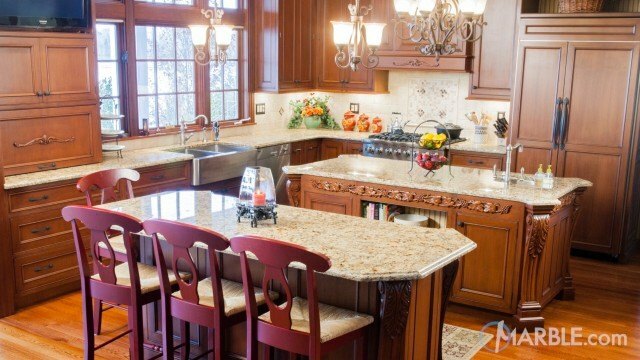 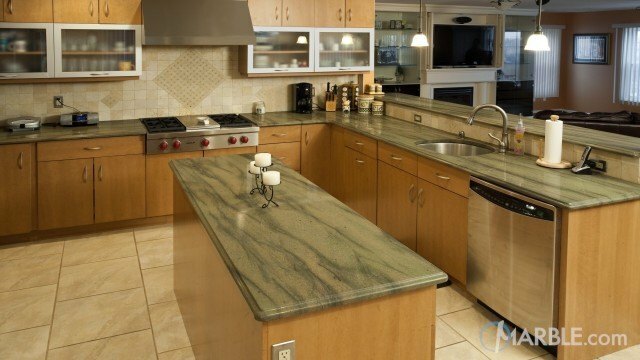 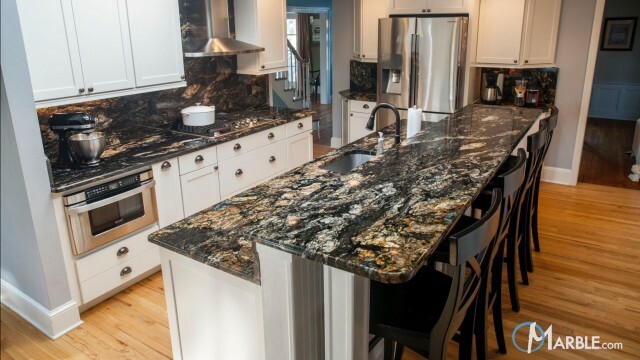 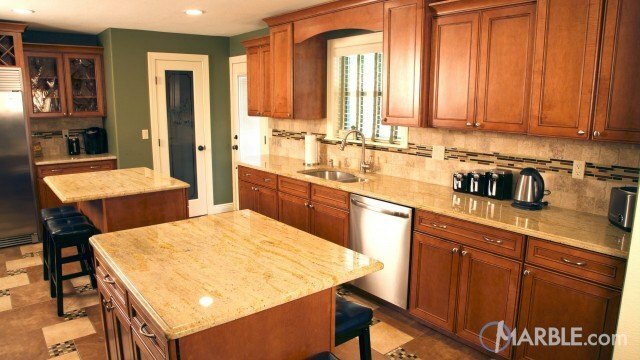 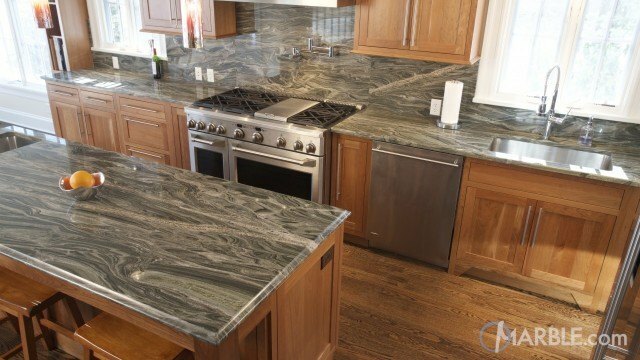 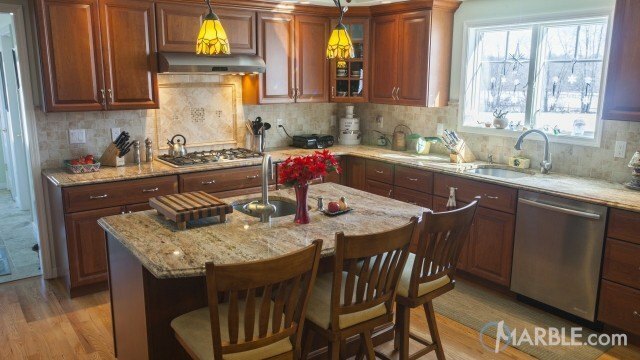 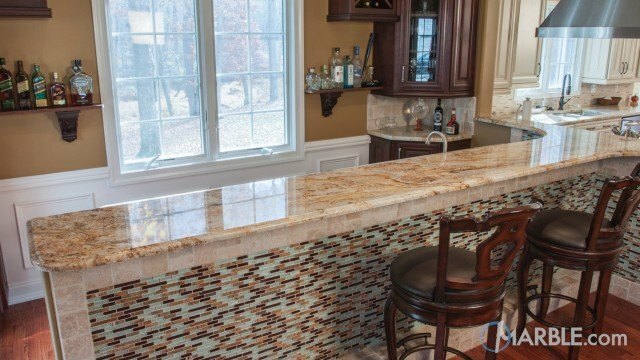 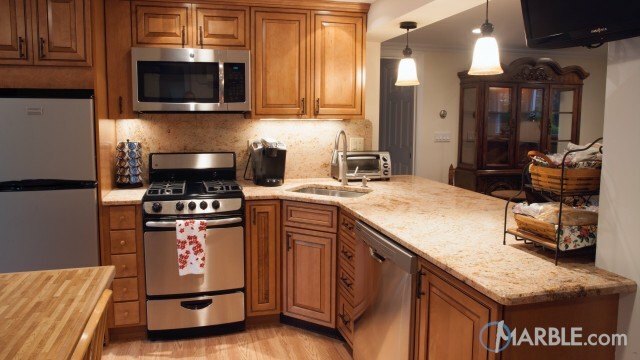 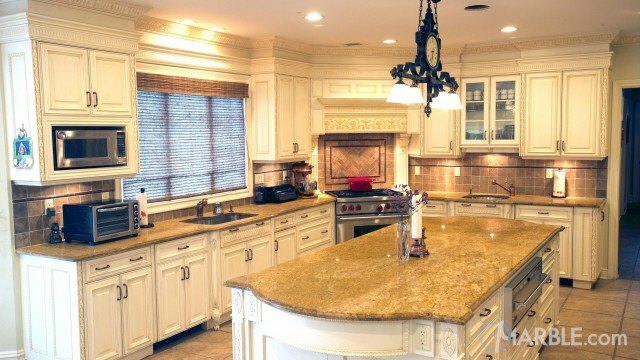 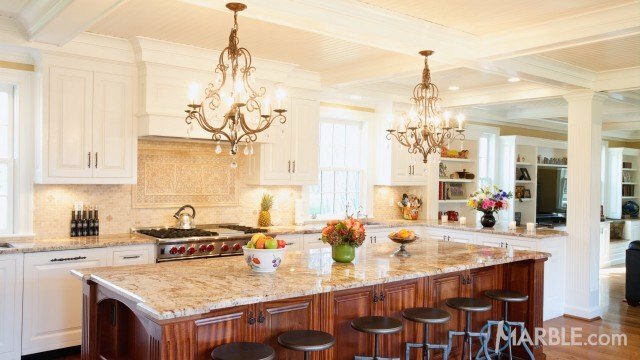 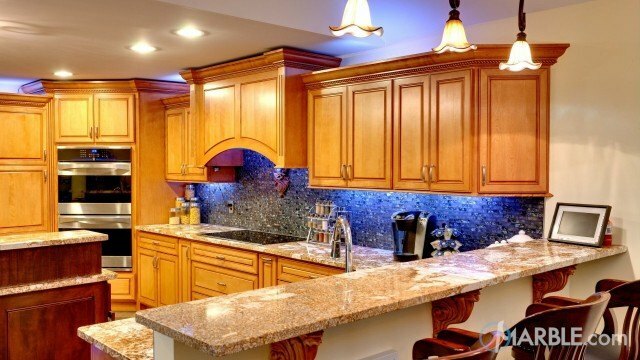 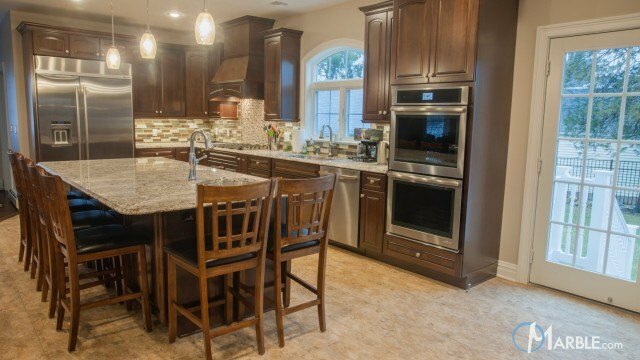 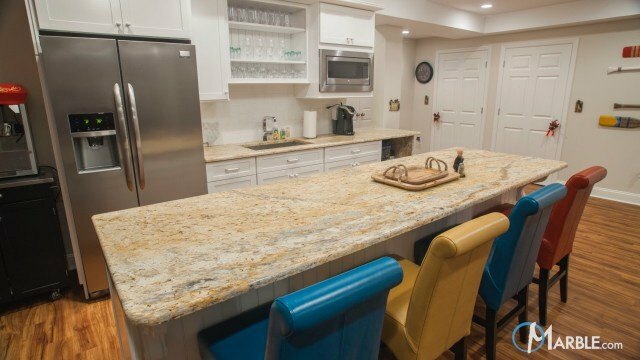 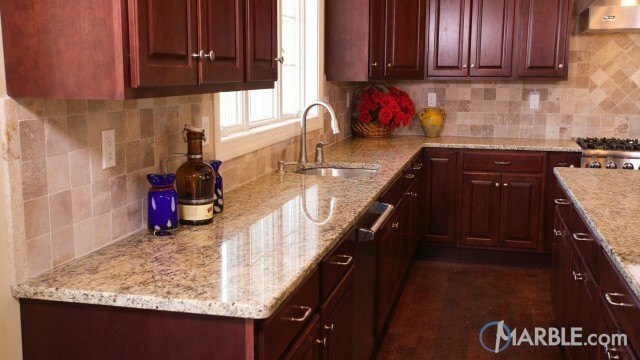 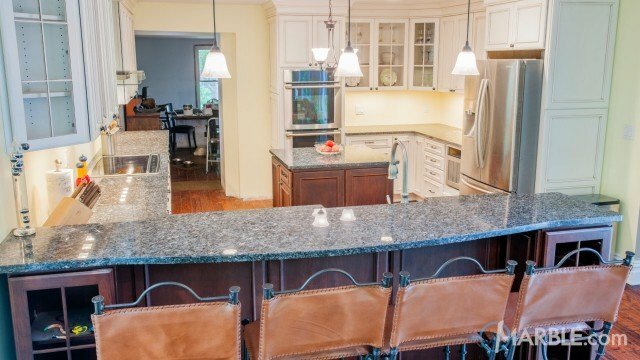 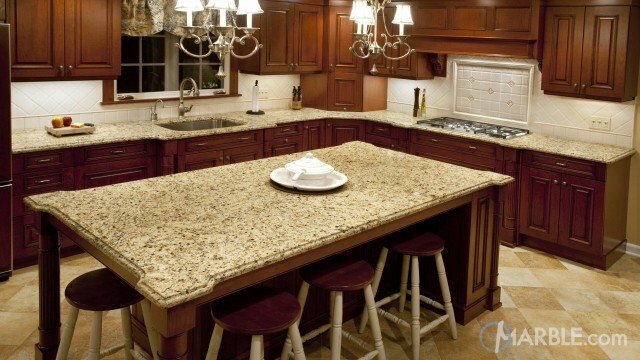 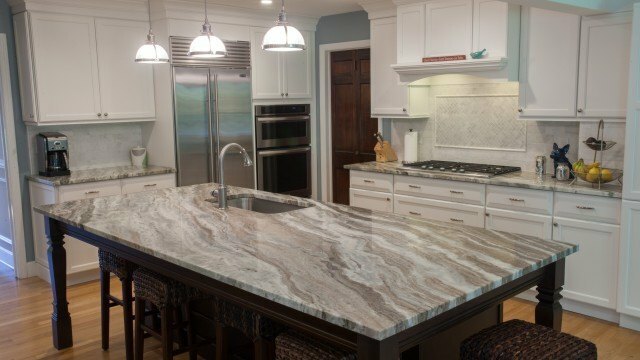 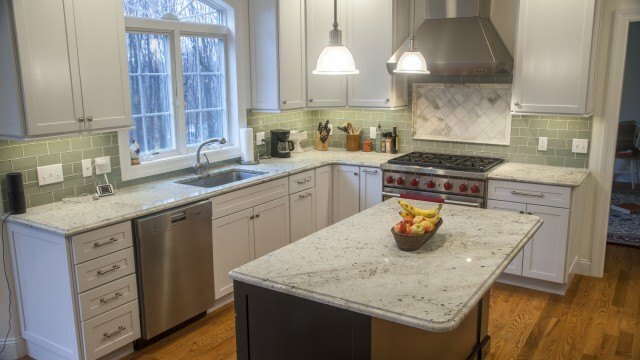 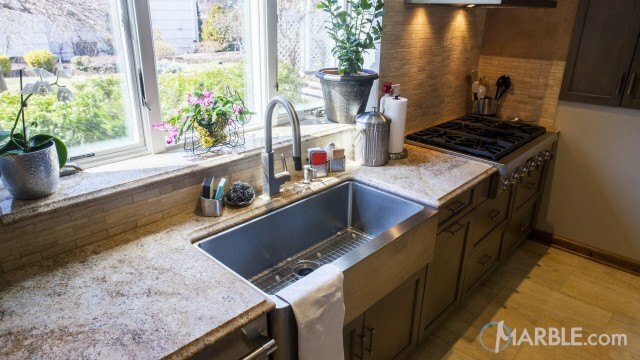 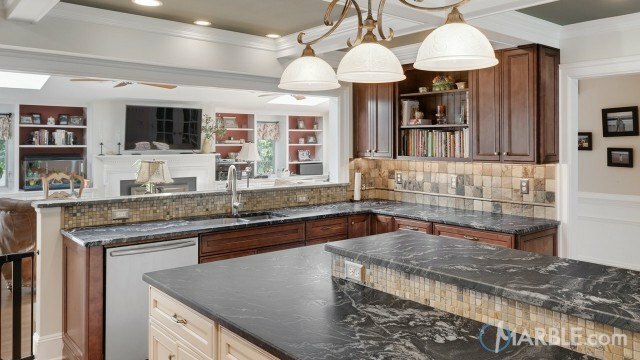 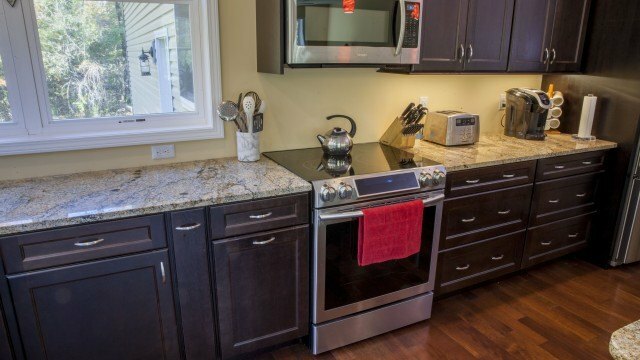 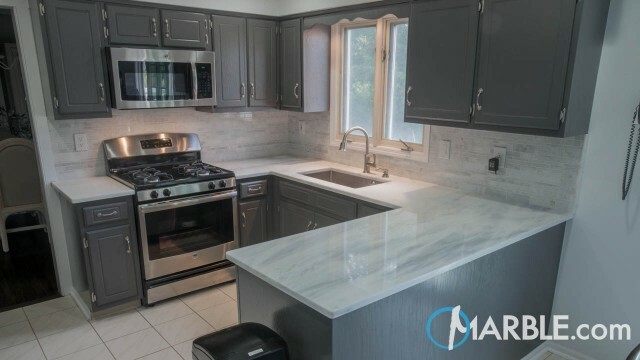 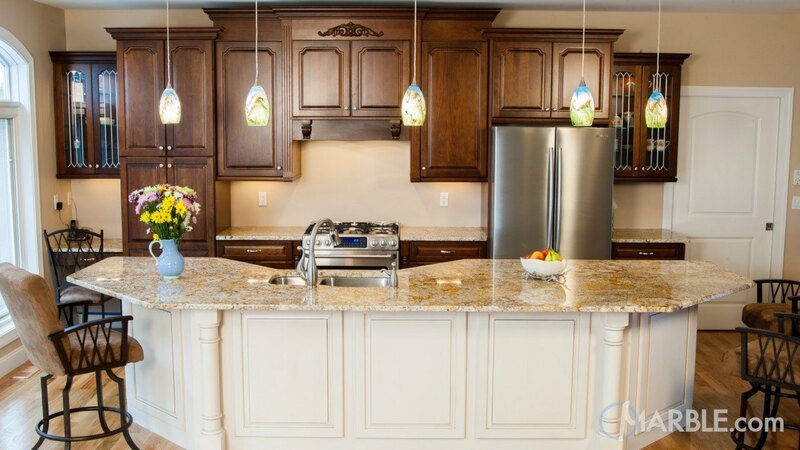 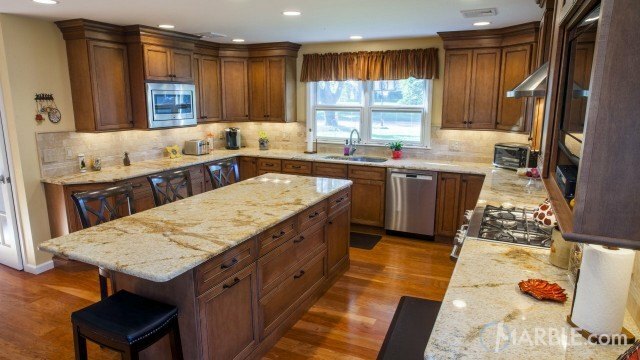 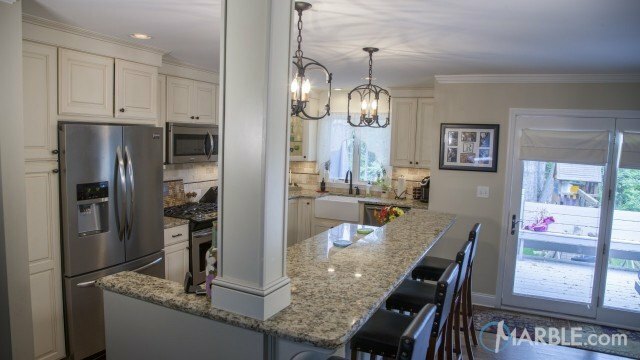 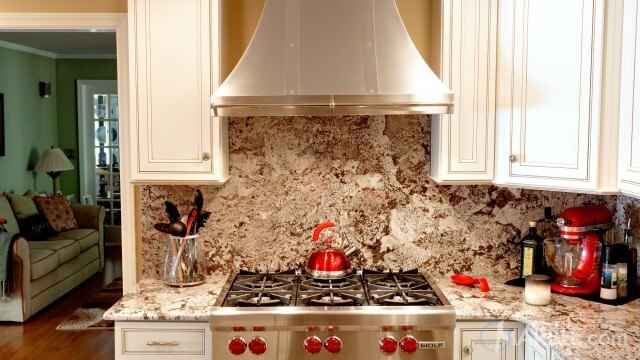 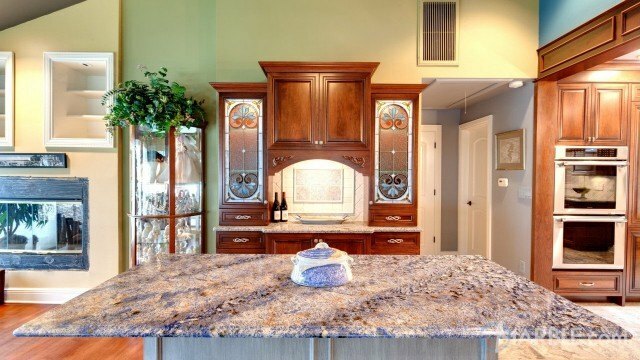 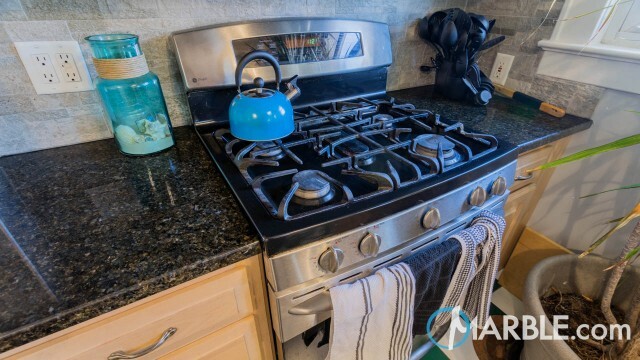 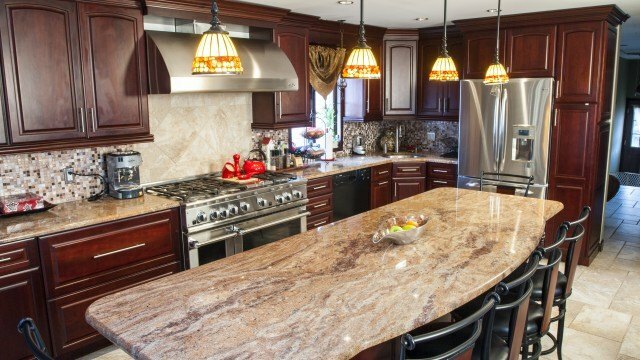 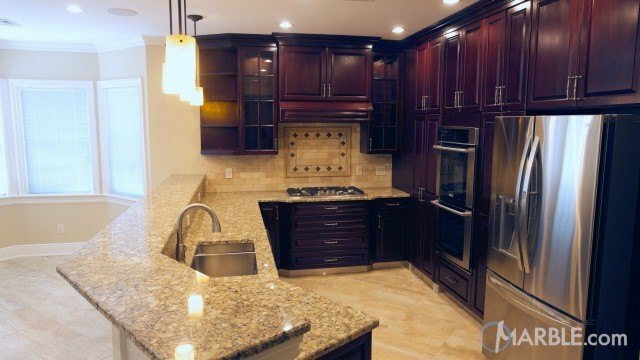 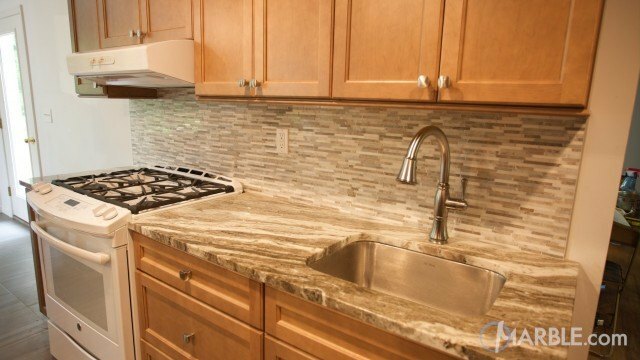 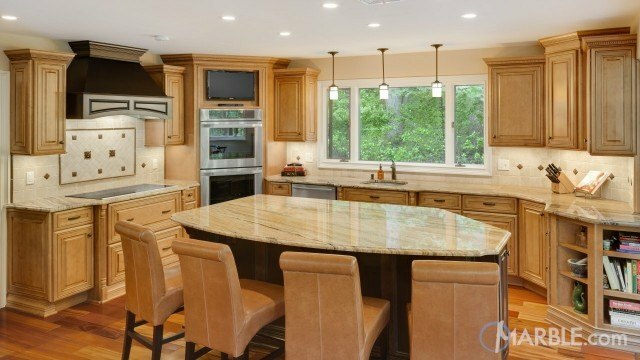 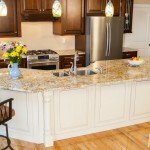 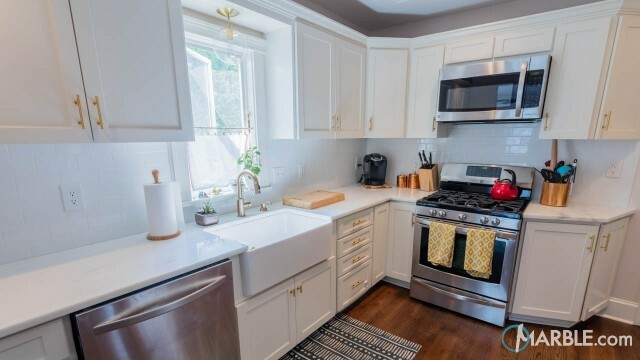 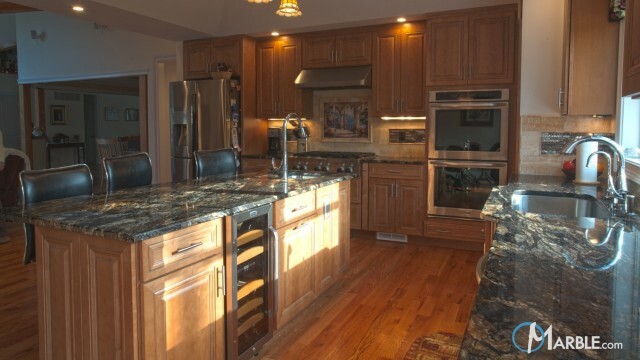 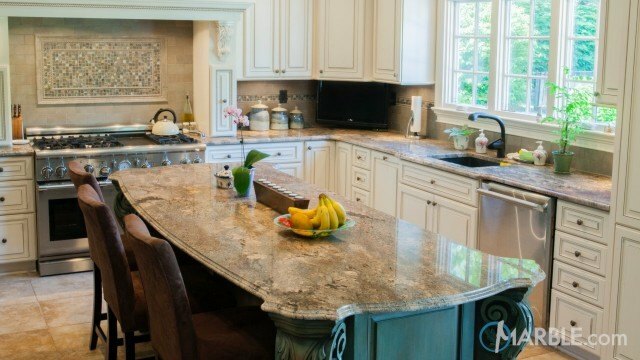 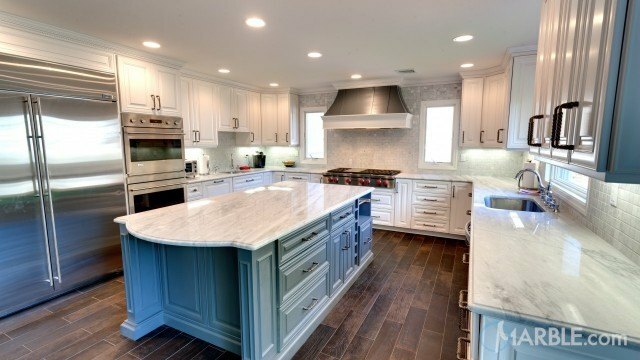 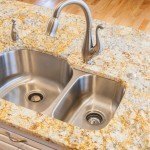 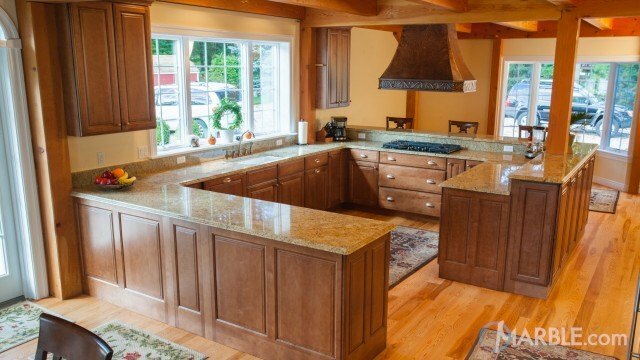 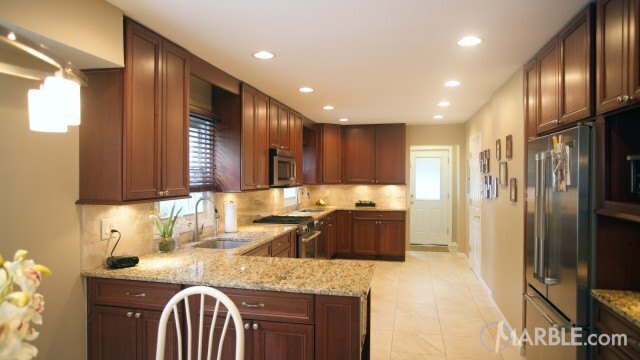 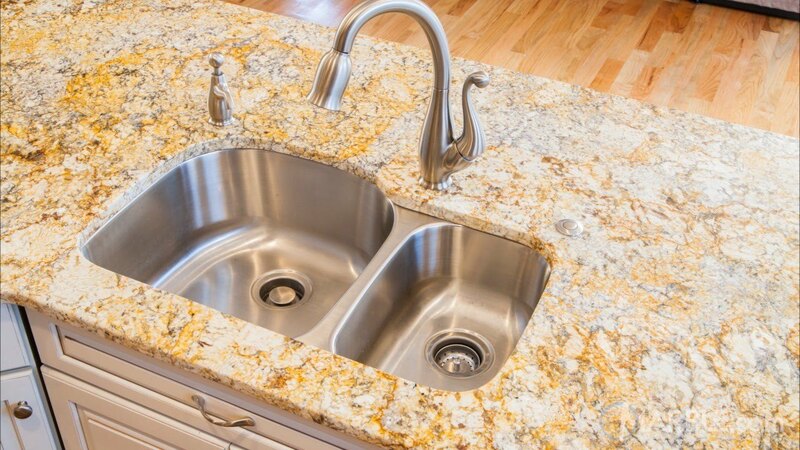 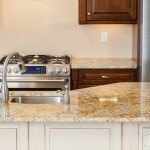 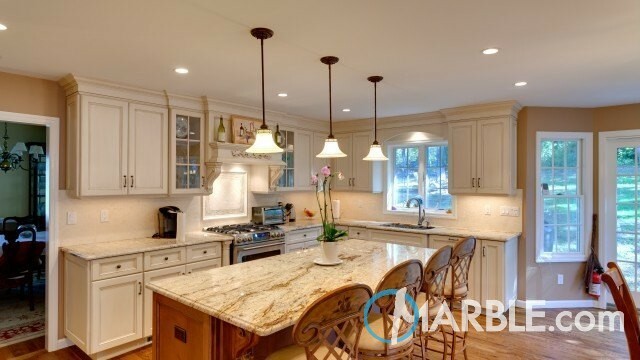 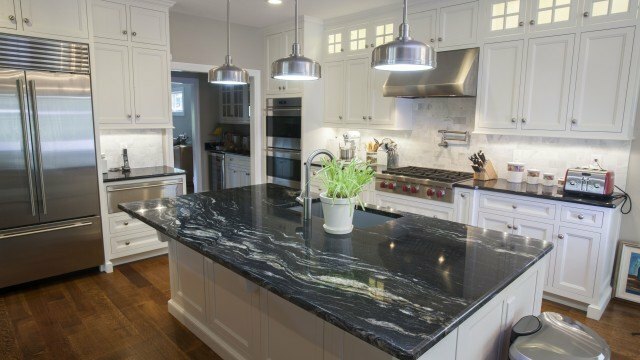 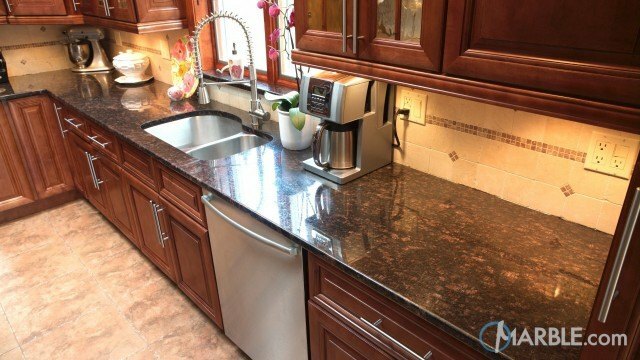 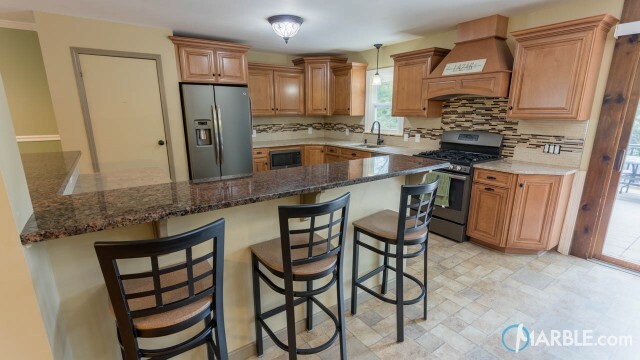 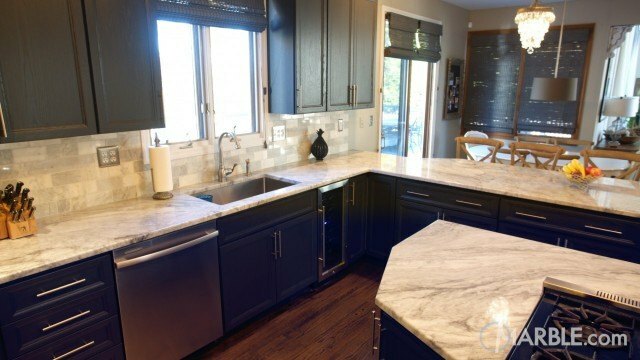 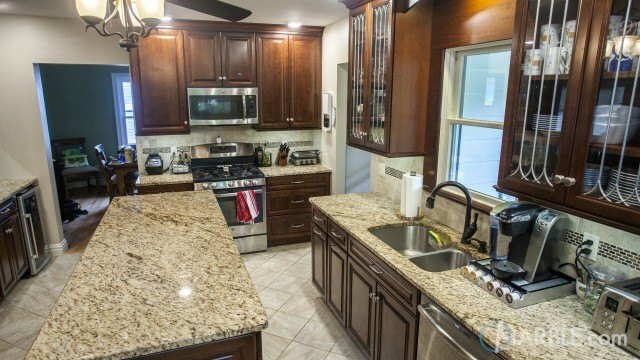 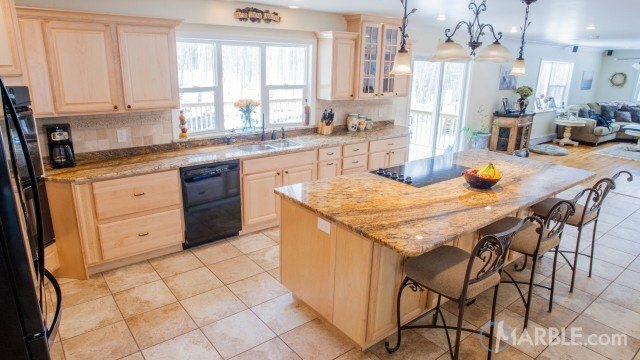 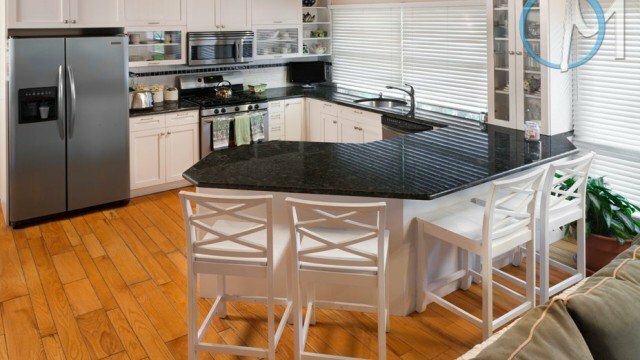 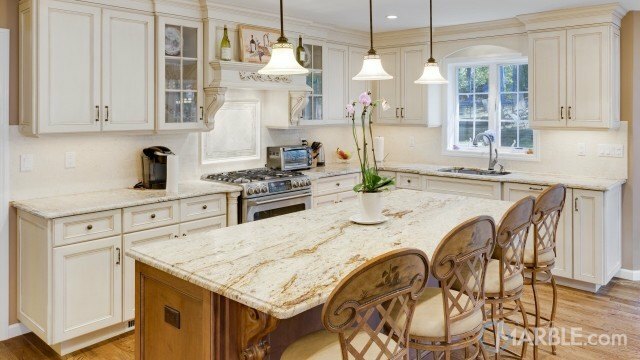 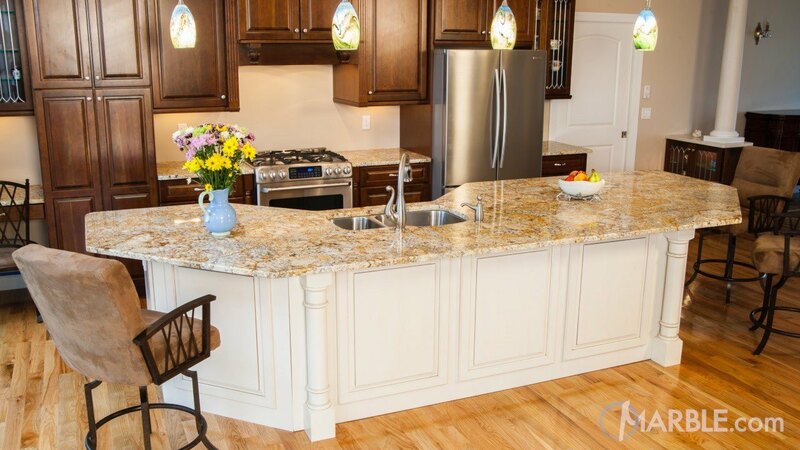 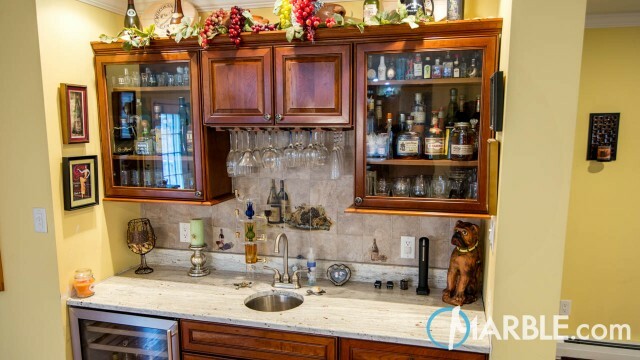 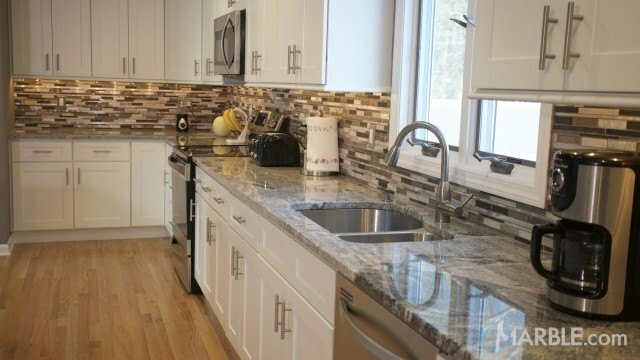 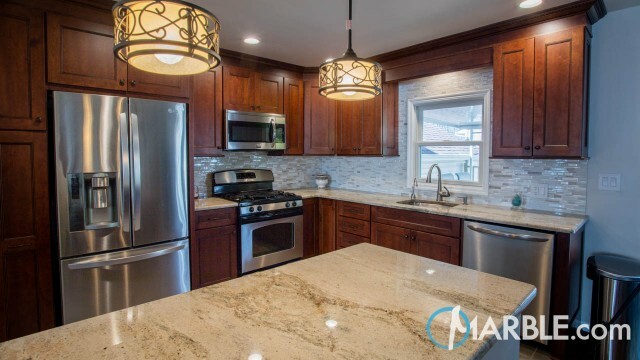 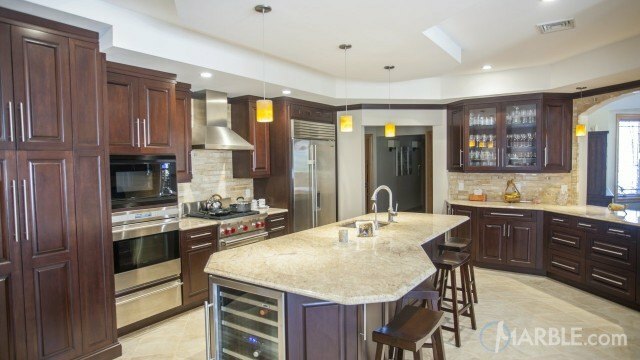 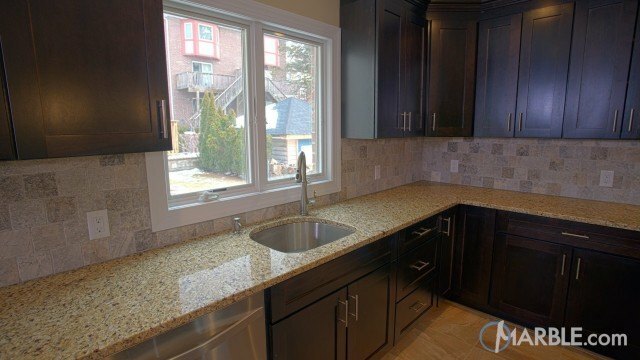 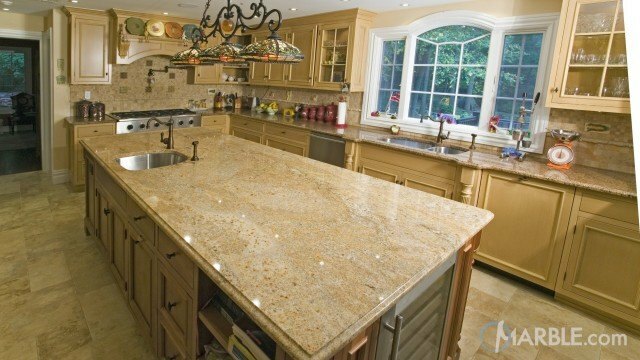 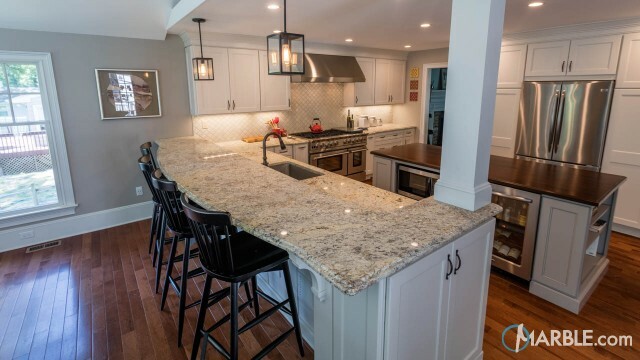 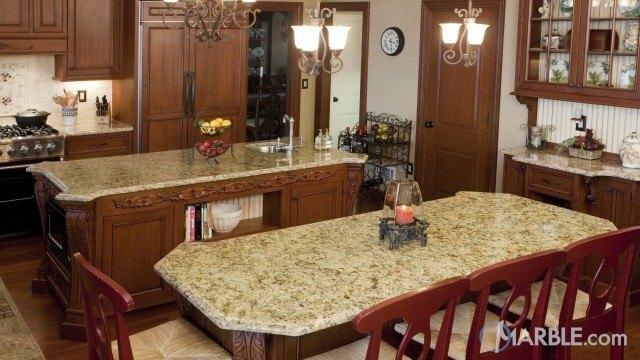 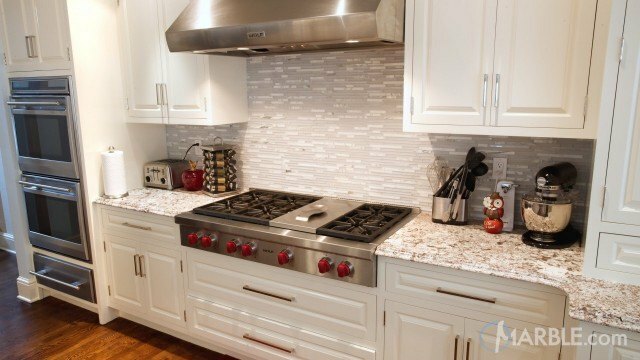 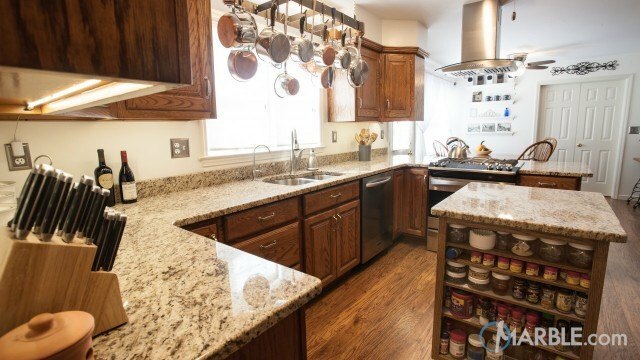 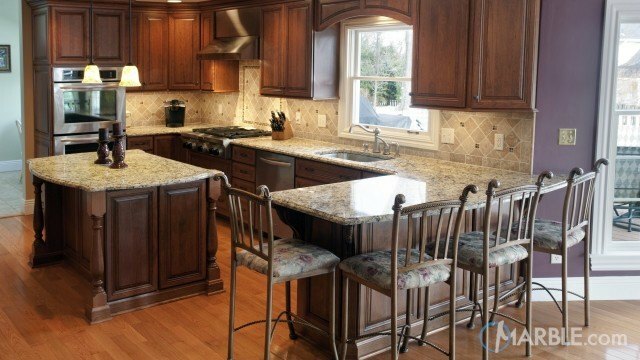 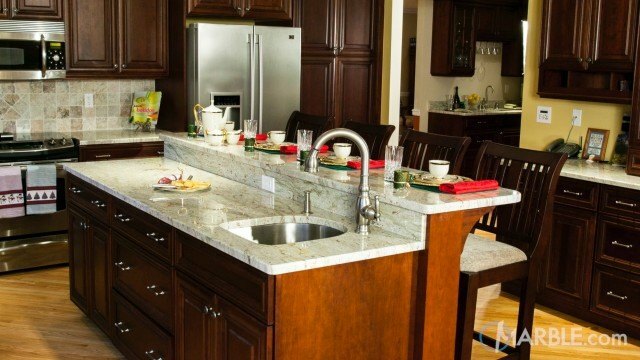 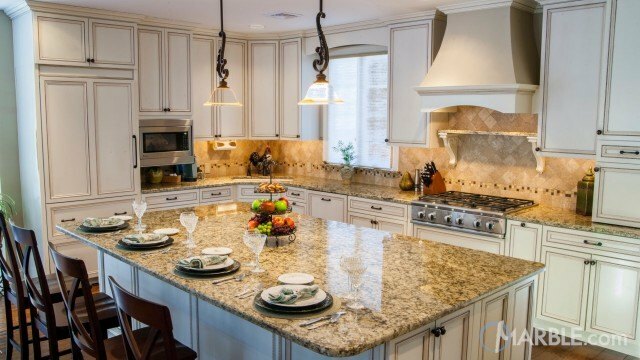 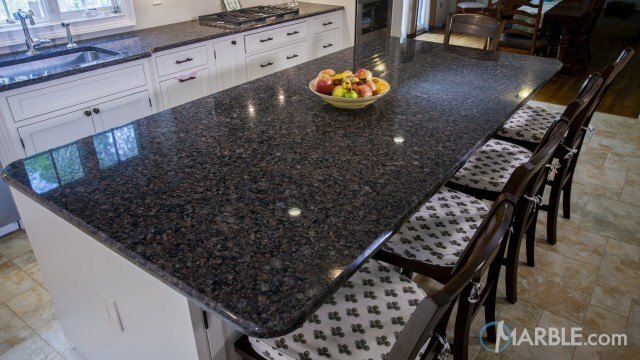 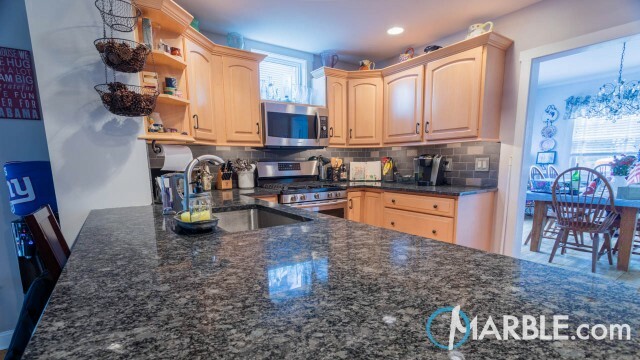 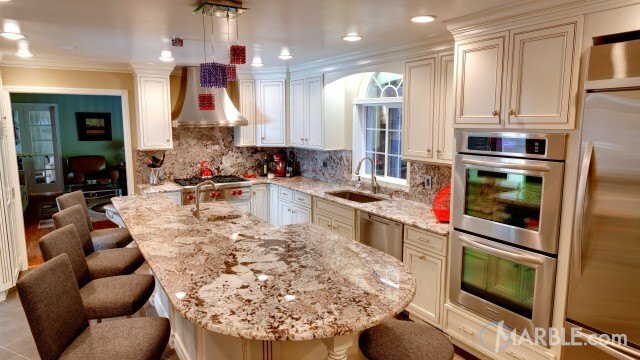 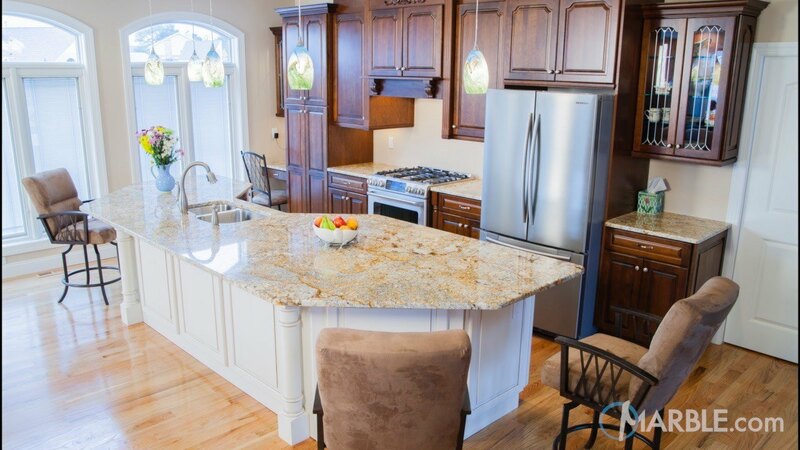 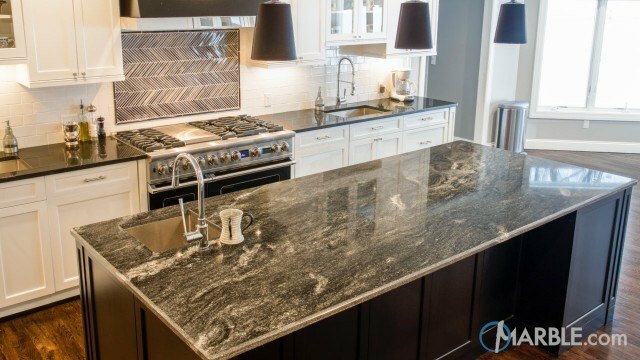 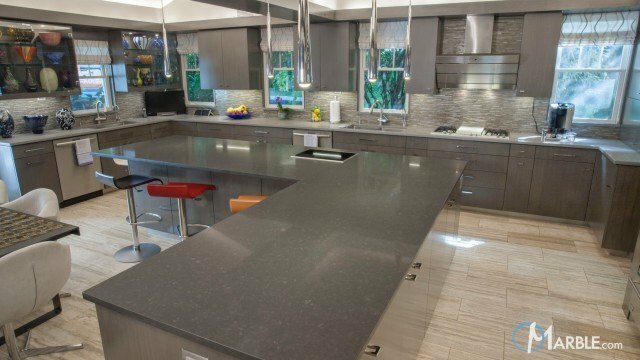 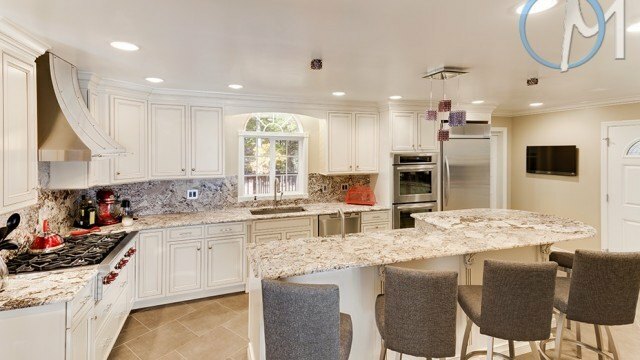 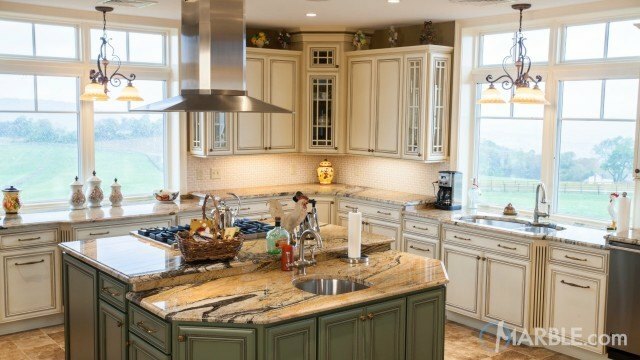 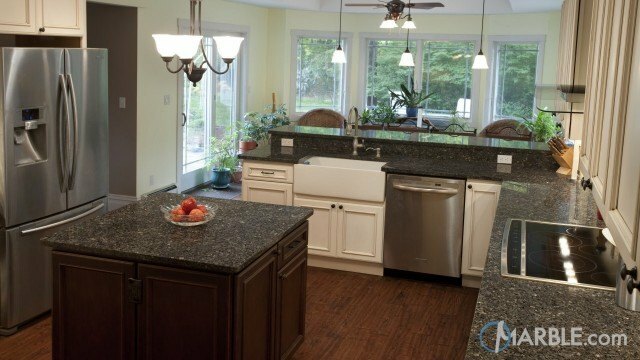 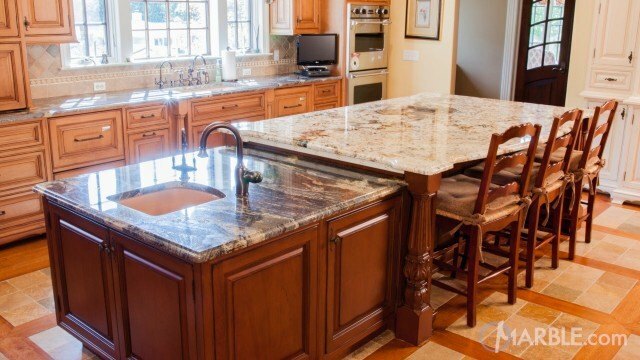 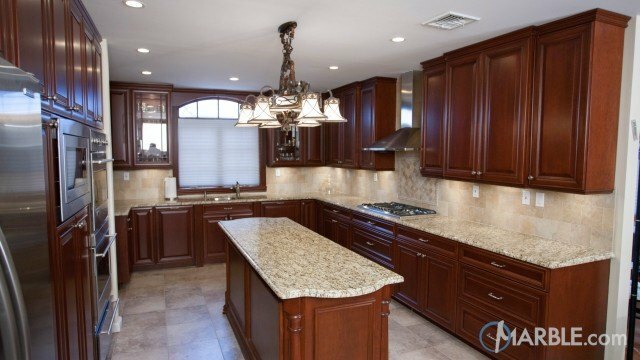 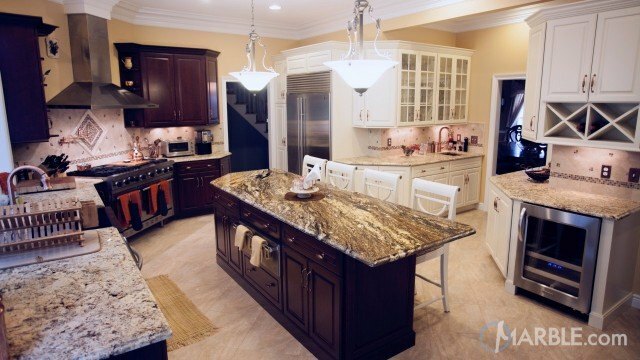 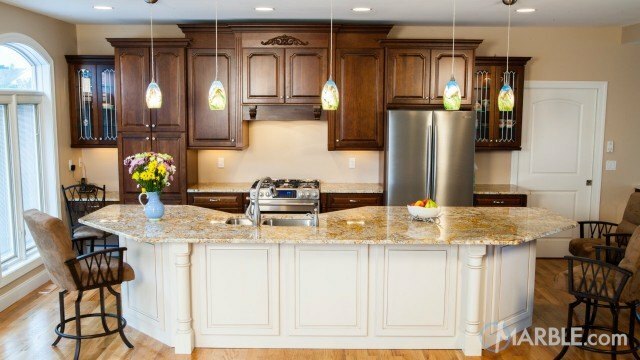 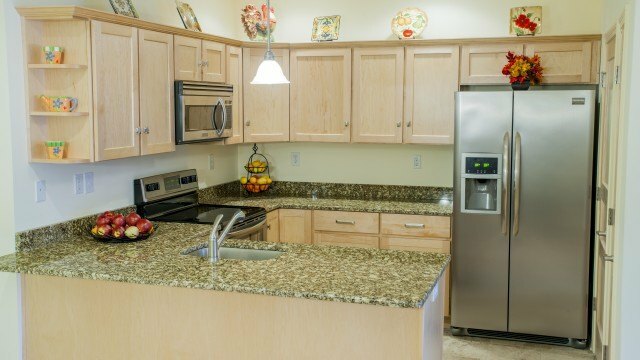 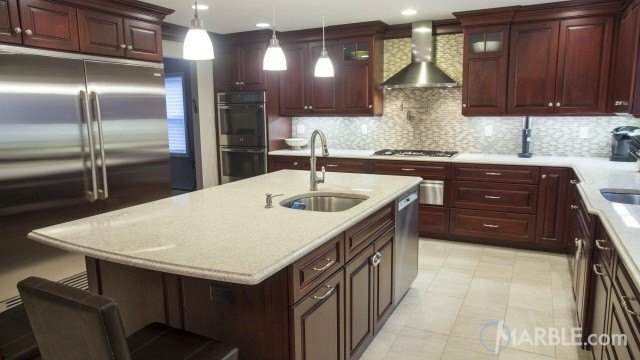 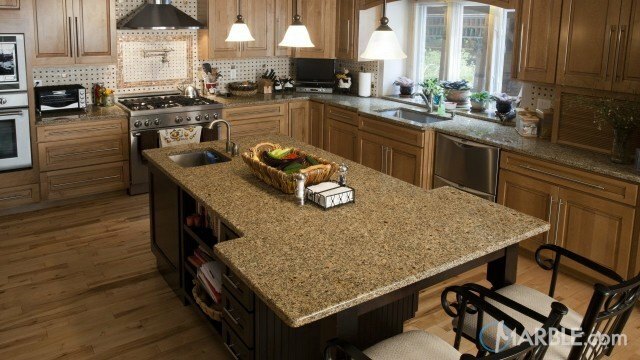 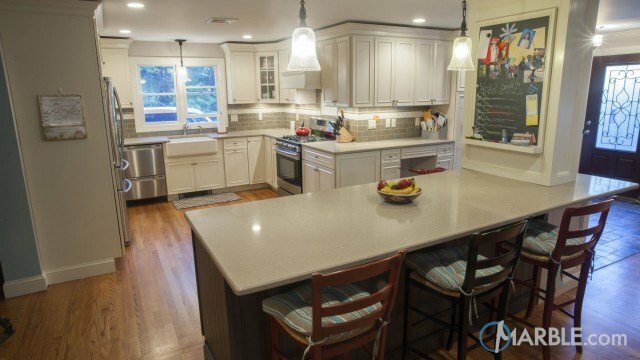 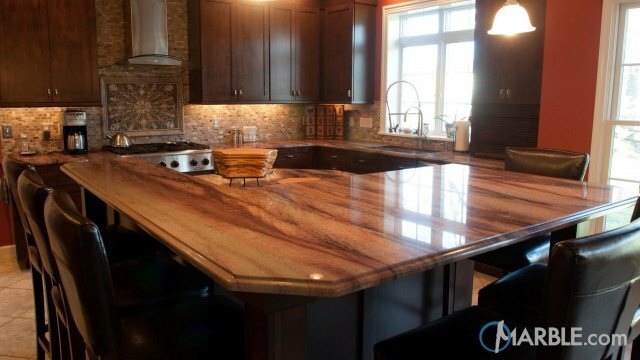 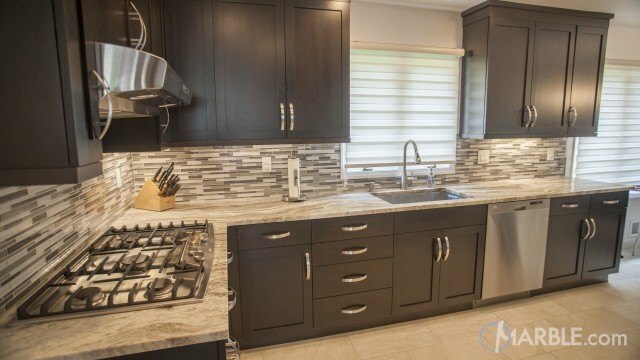 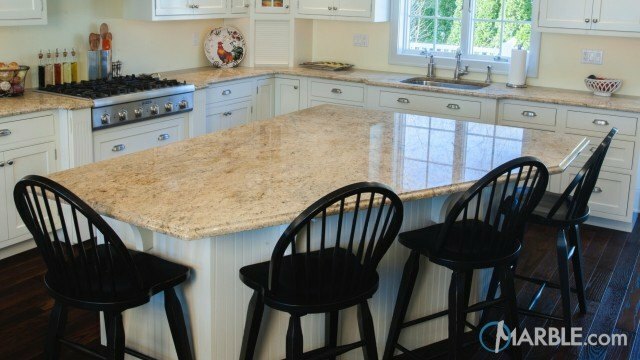 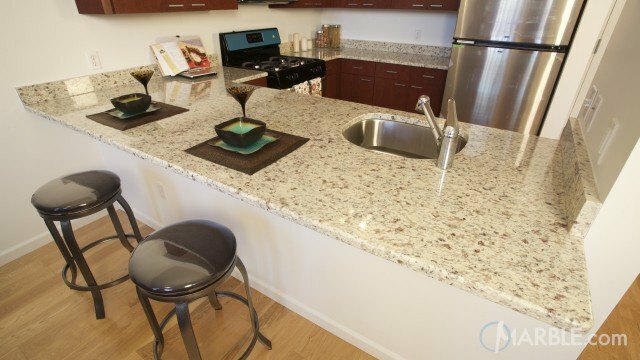 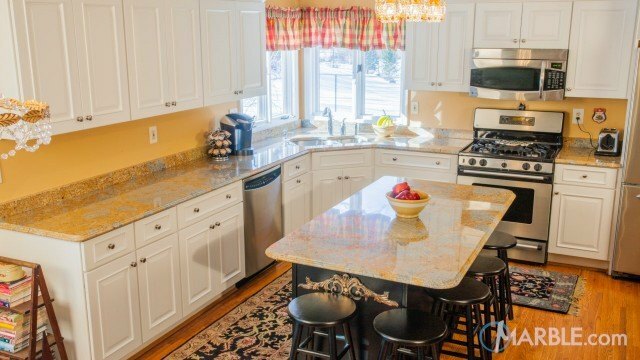 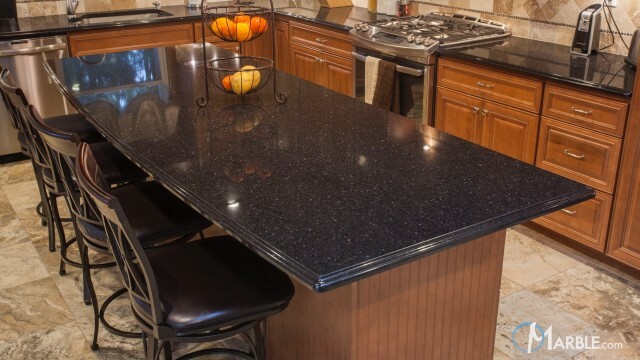 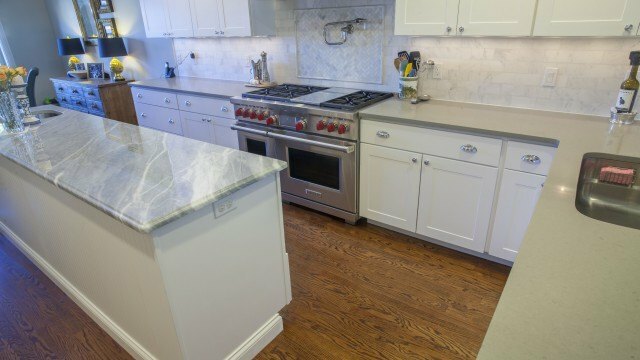 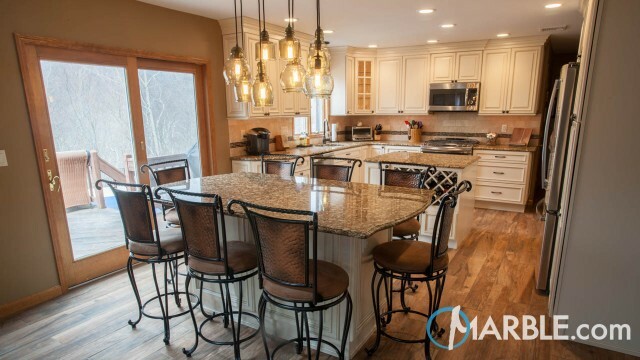 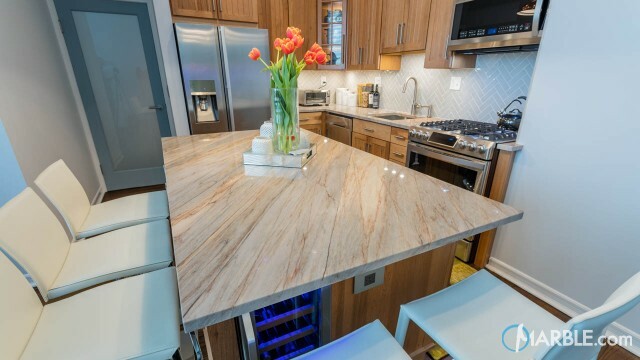 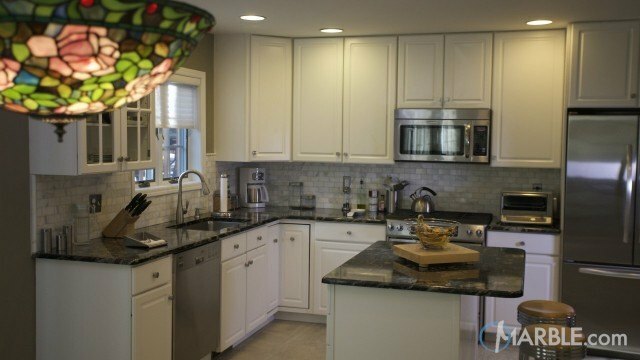 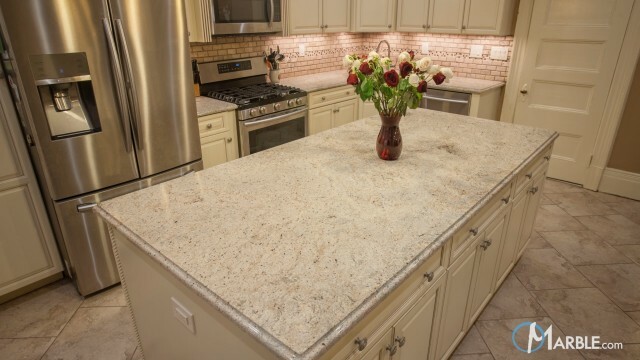 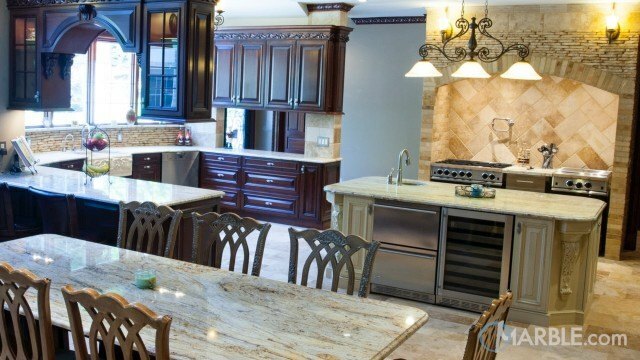 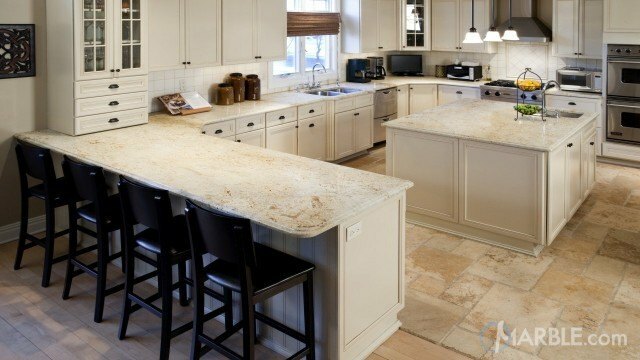 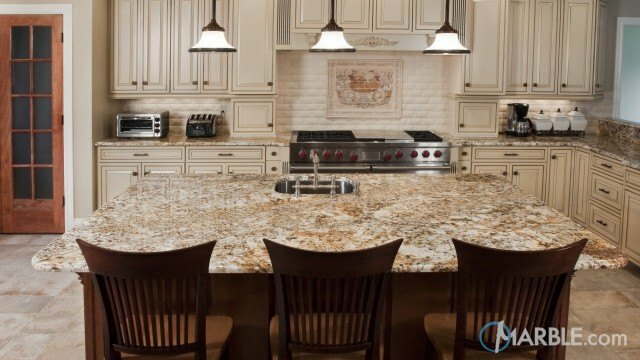 Golden Silver granite is utilized in this open kitchen and is a great match for both the white island cabinets and dark perimeter cabinets. 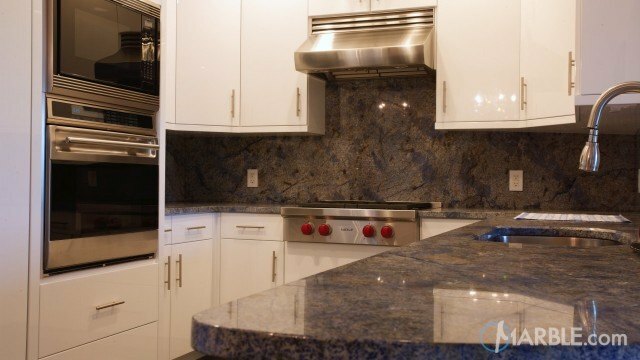 The use of blue in the lighting and flower vase adds extra pop to the room. 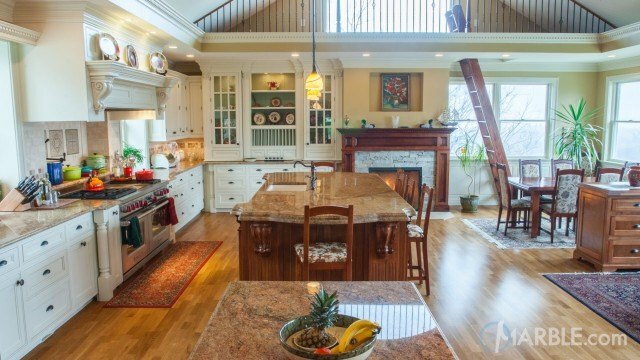 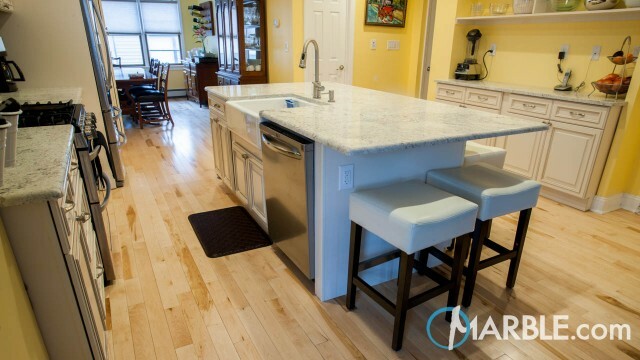 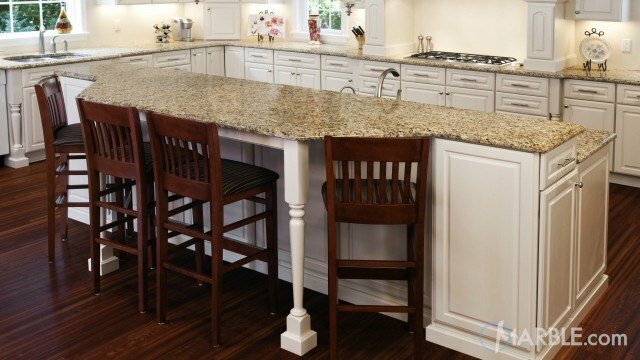 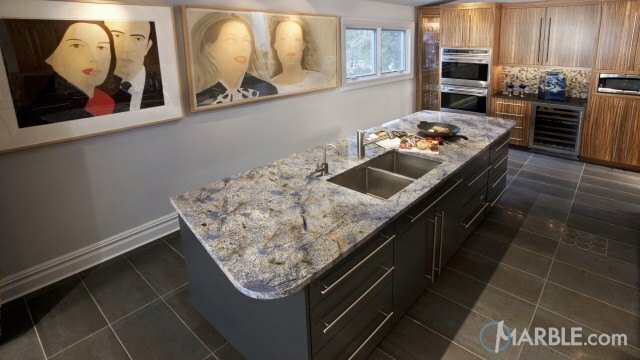 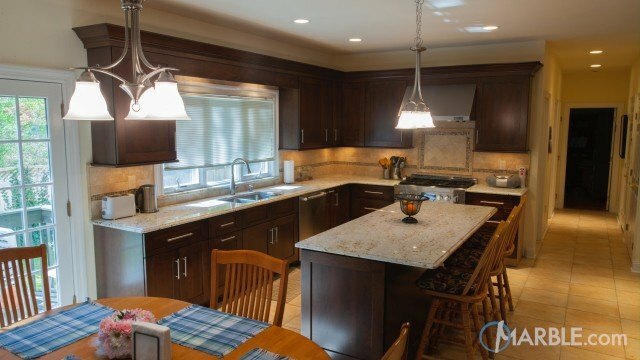 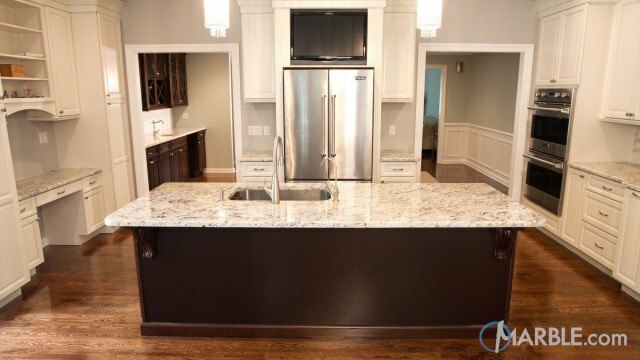 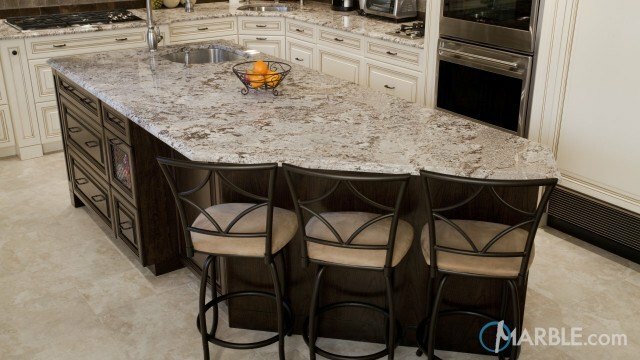 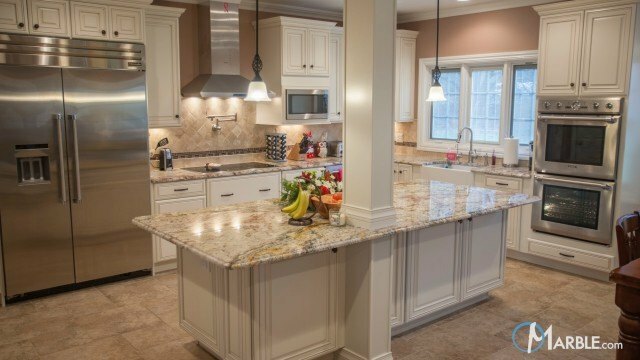 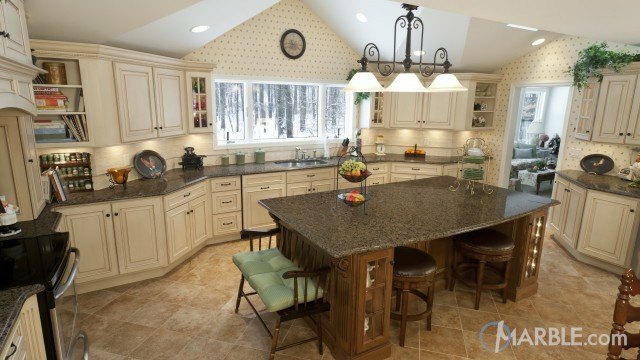 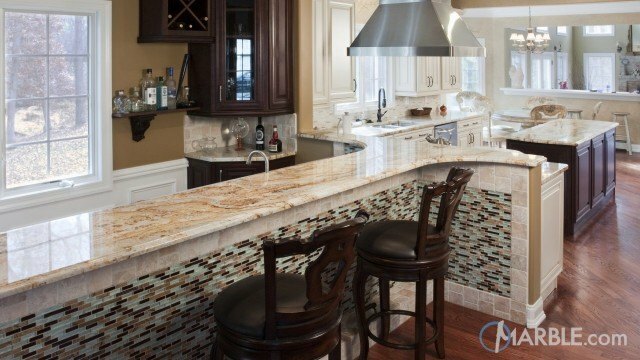 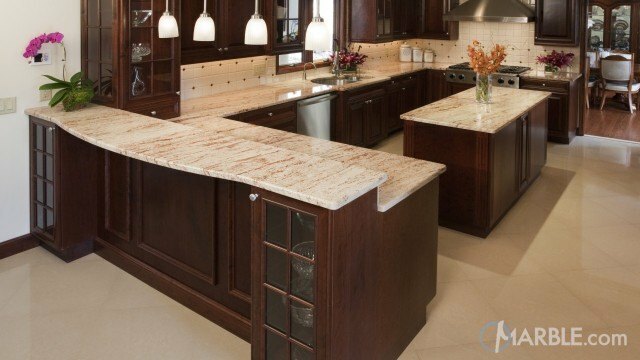 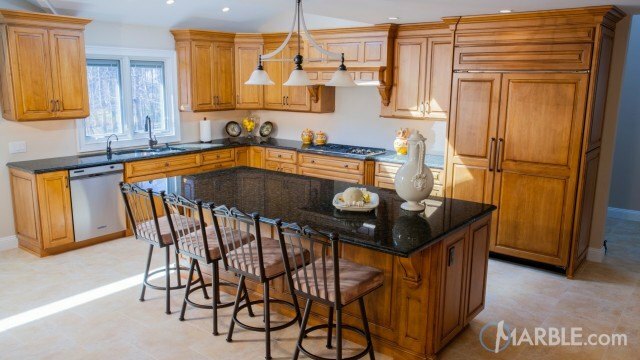 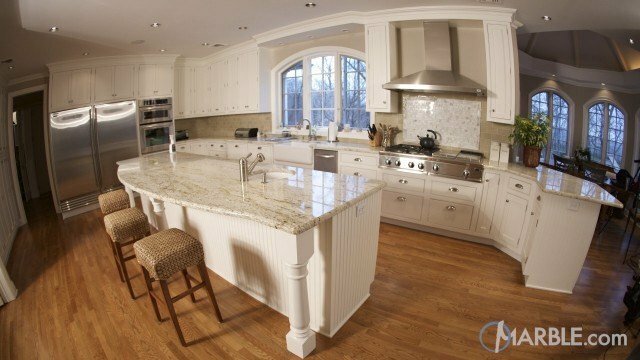 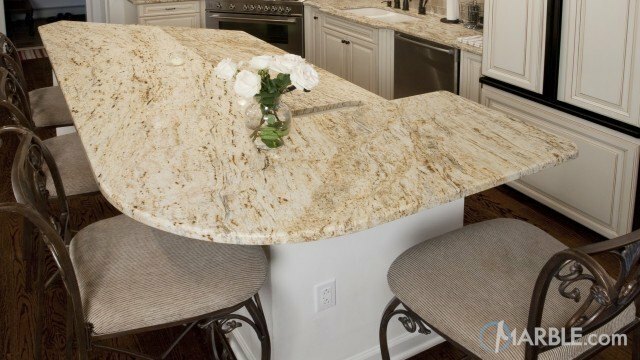 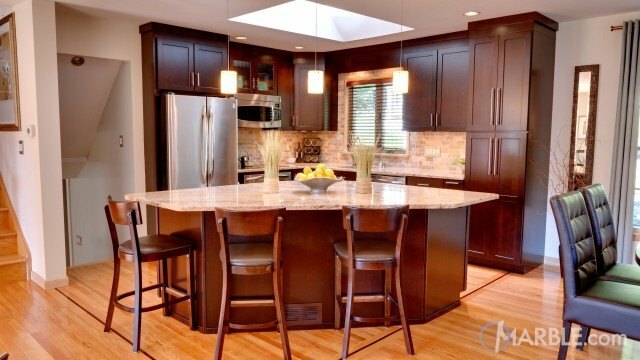 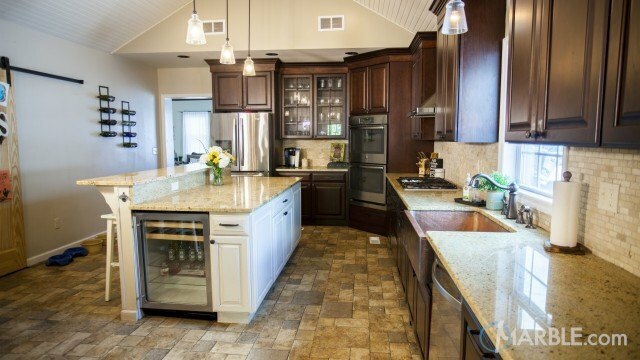 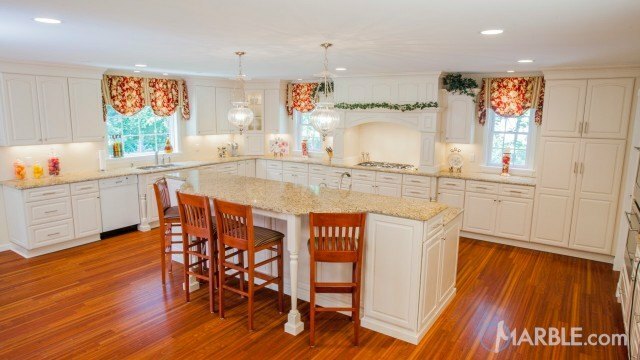 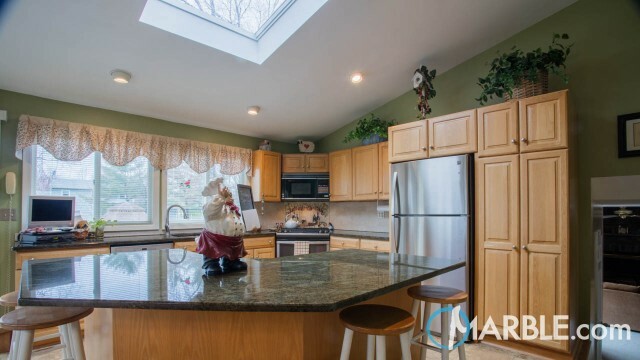 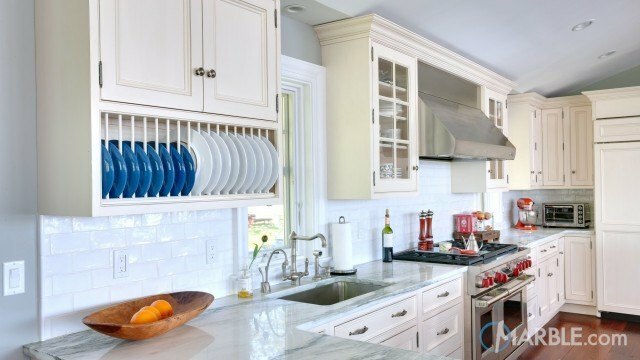 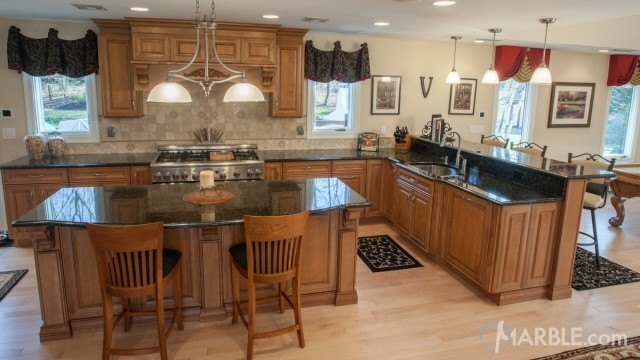 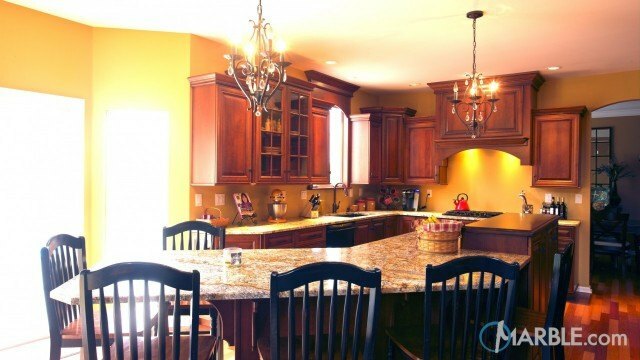 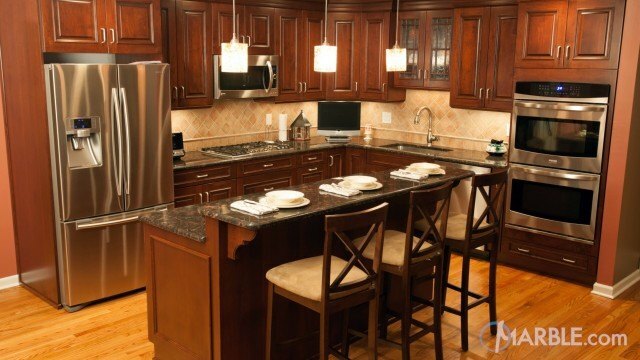 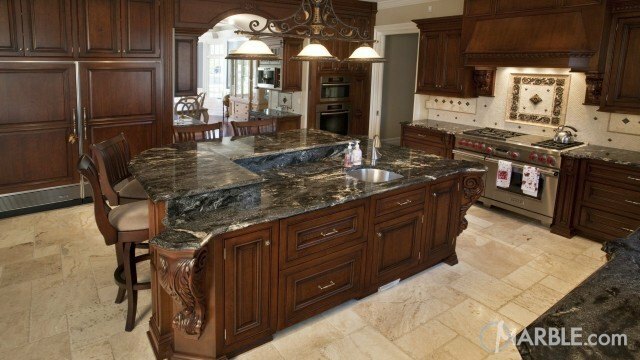 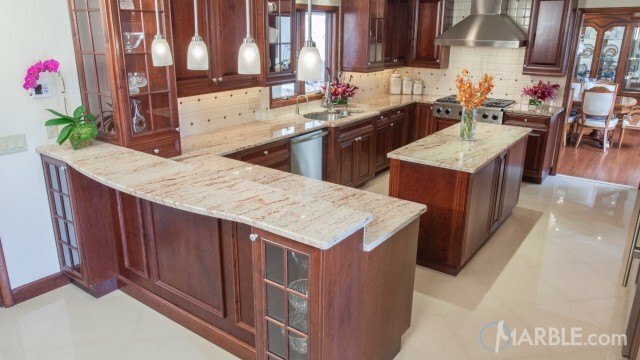 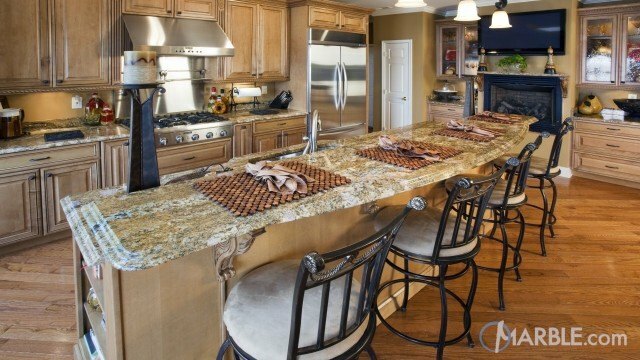 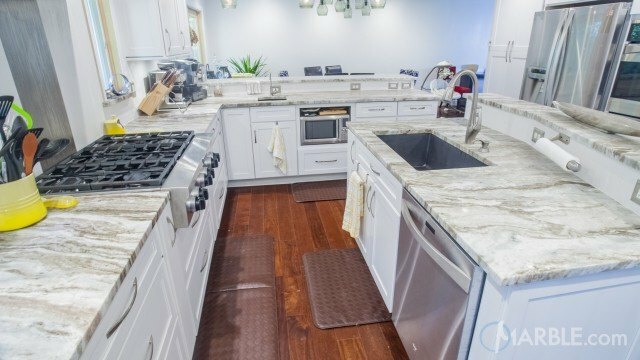 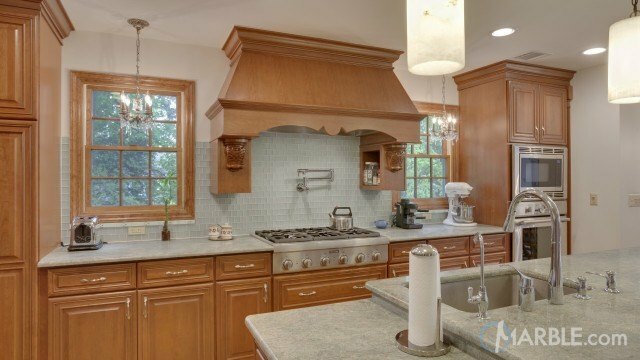 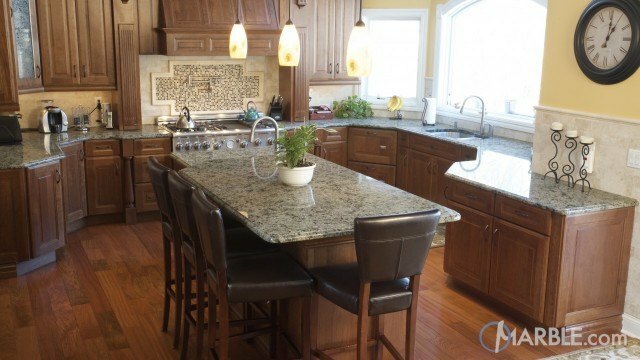 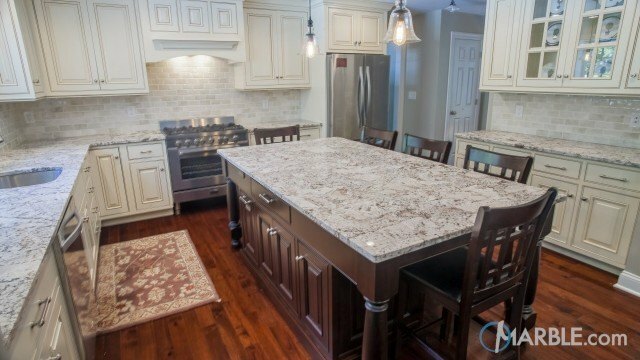 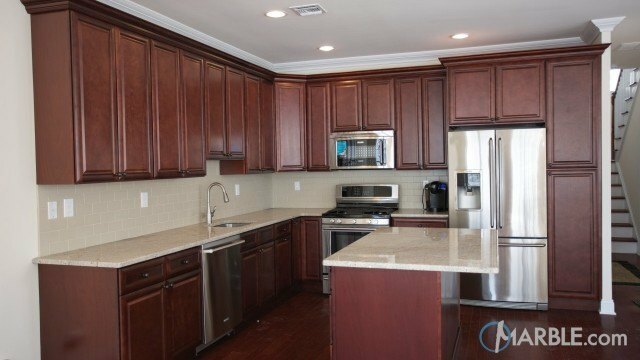 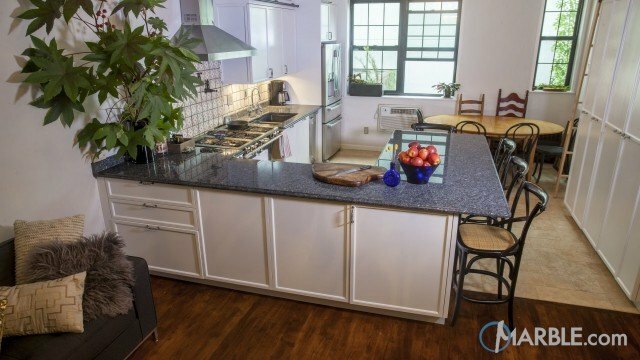 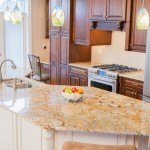 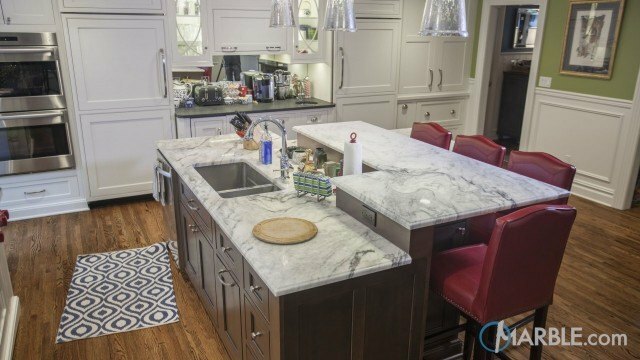 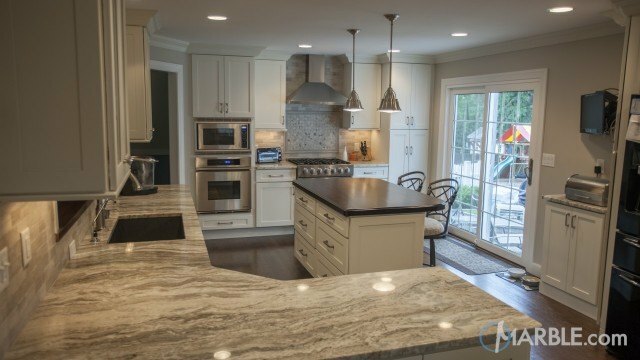 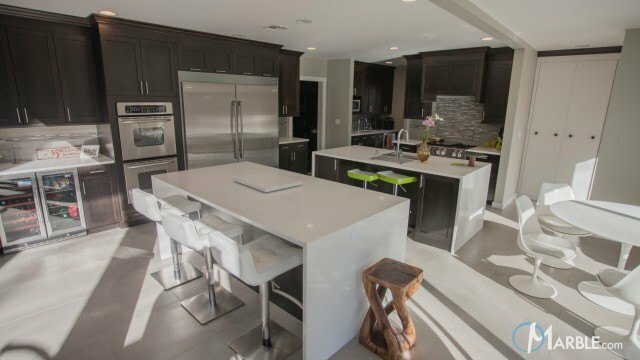 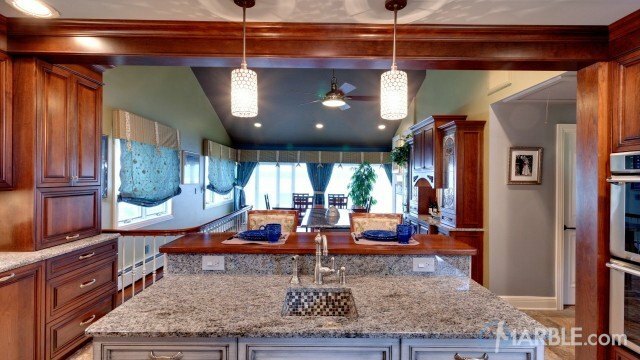 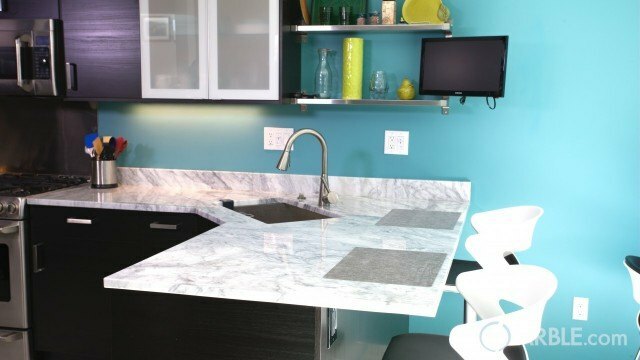 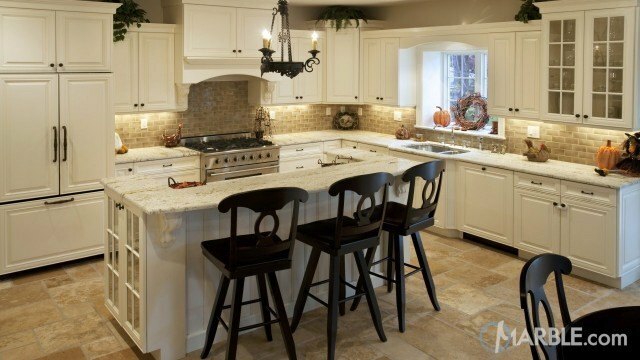 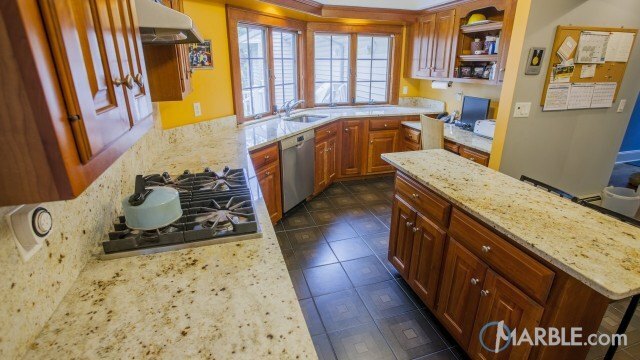 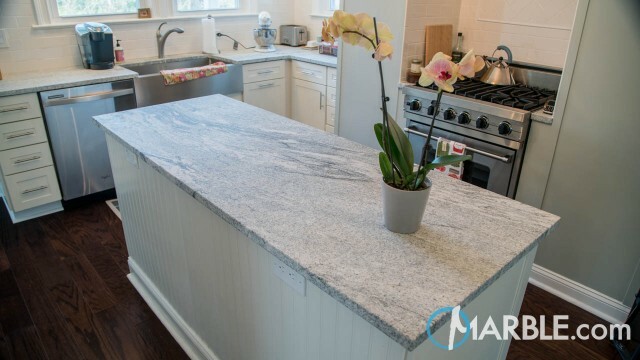 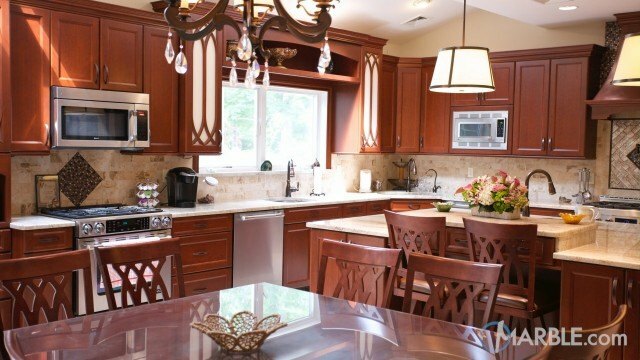 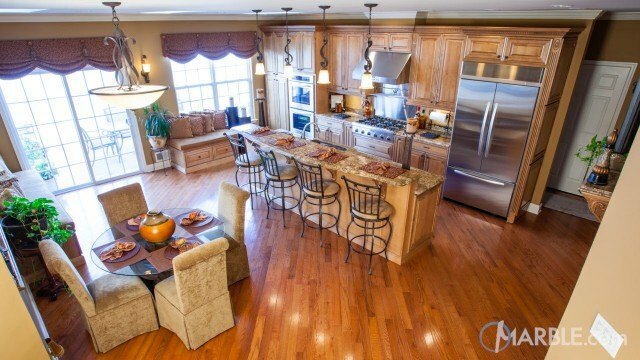 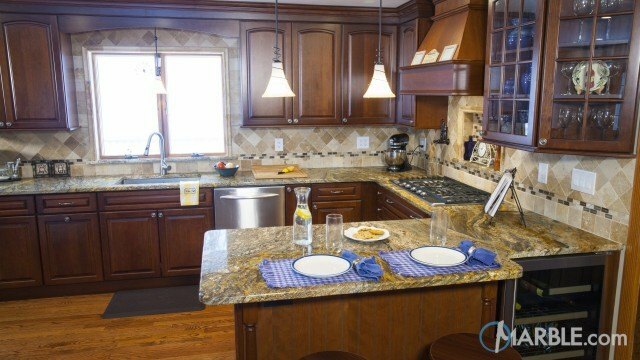 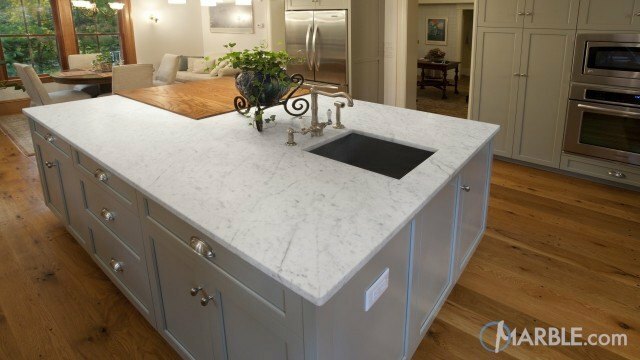 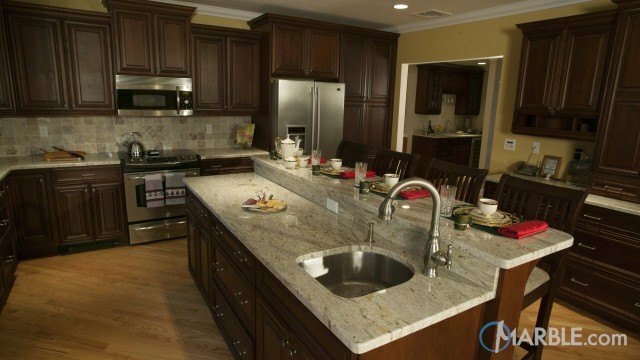 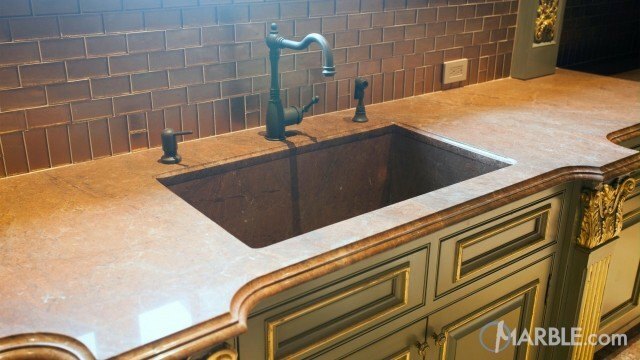 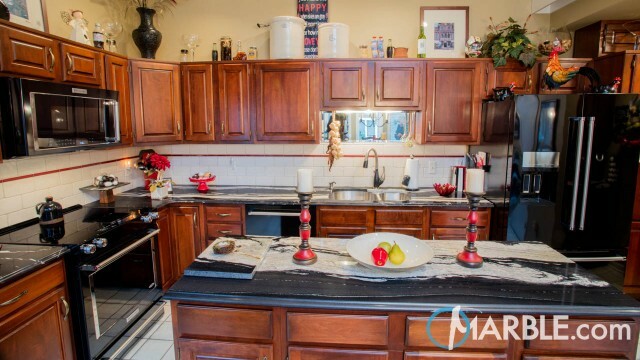 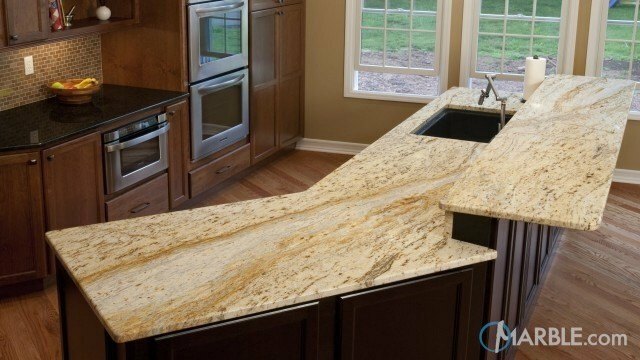 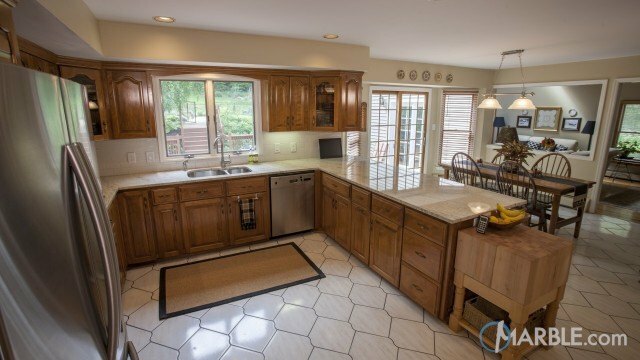 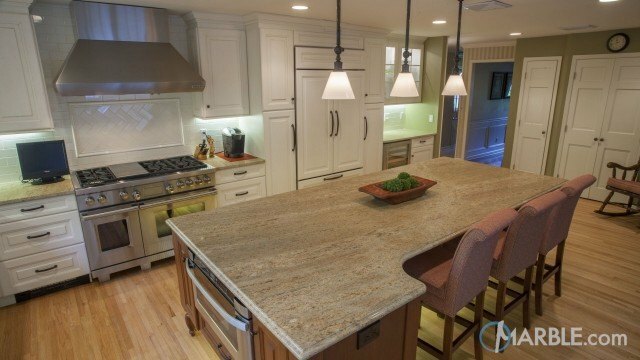 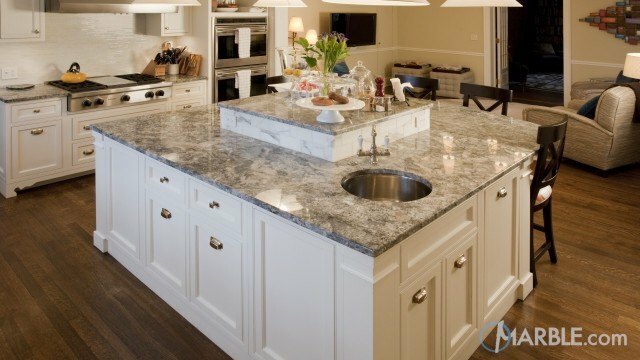 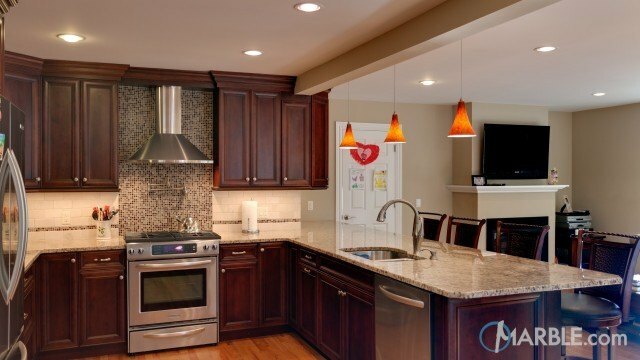 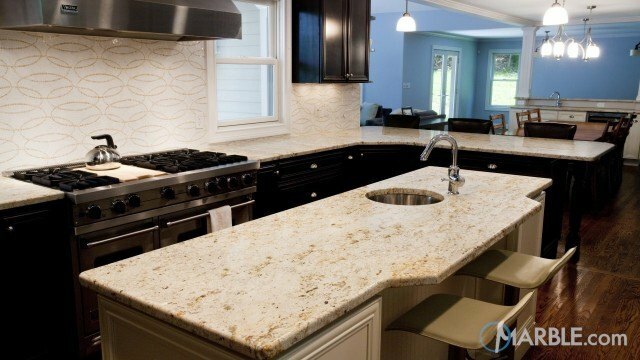 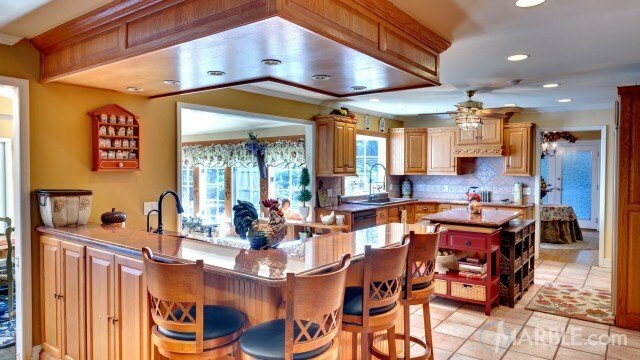 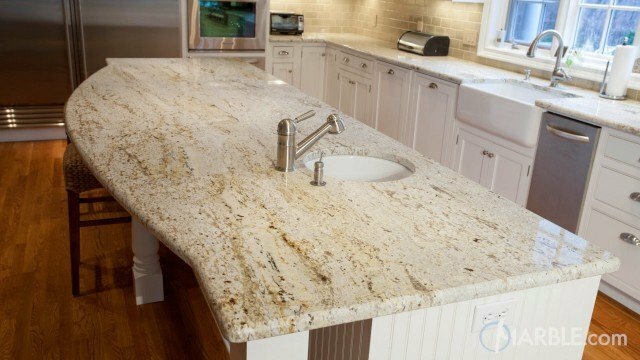 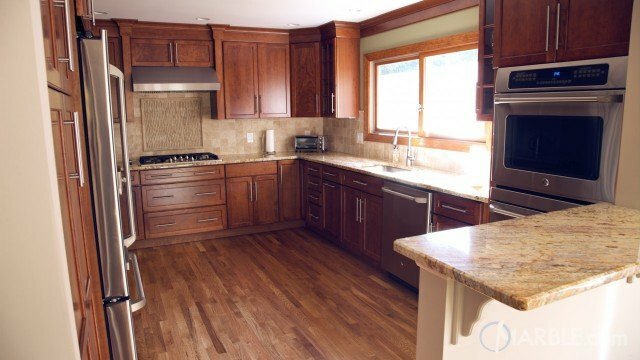 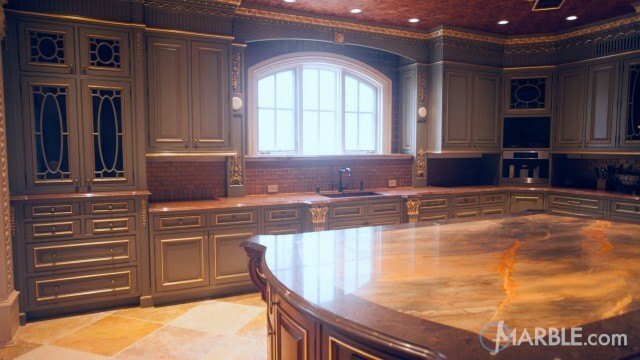 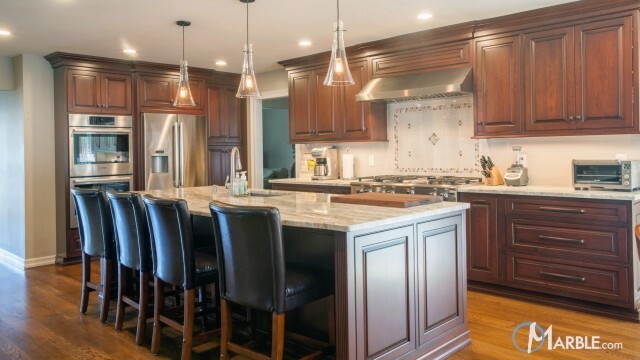 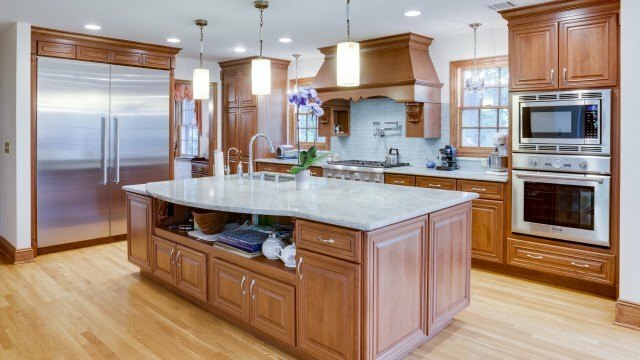 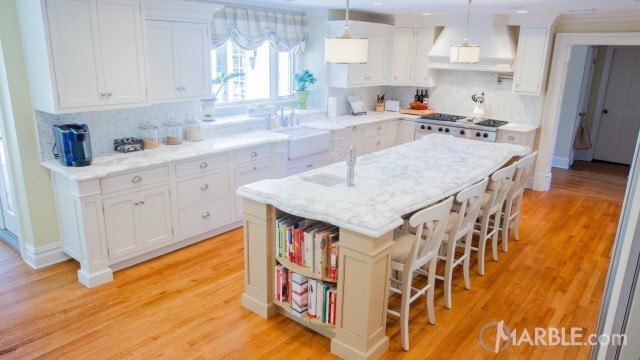 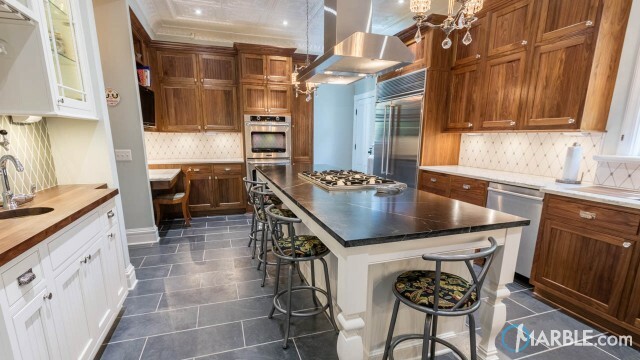 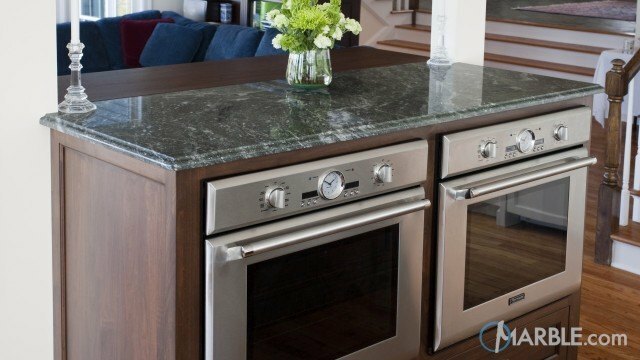 The open cut in the island allows for the cook of the house to work with ease.